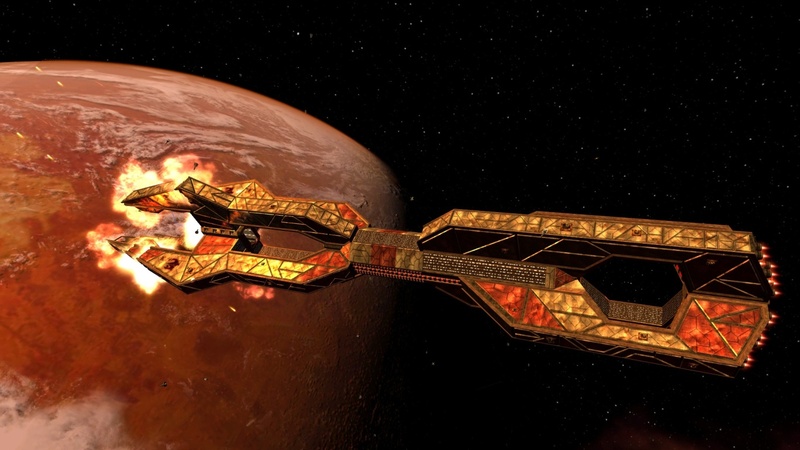 callitri has finished his extremely detailed Concordia Supercruiser model. 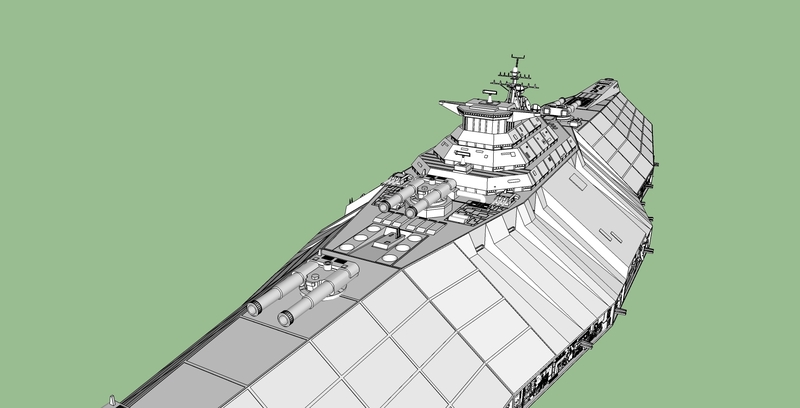 The ship stands at about two million polygons, so there's quite a bit of interior geometry clean-up going on to optimize the model, but the exterior shape is solid. callitri has tried to share the actual file, but the size is prohibitive at the moment. This was made in Google Sketchup, which is quite impressive. 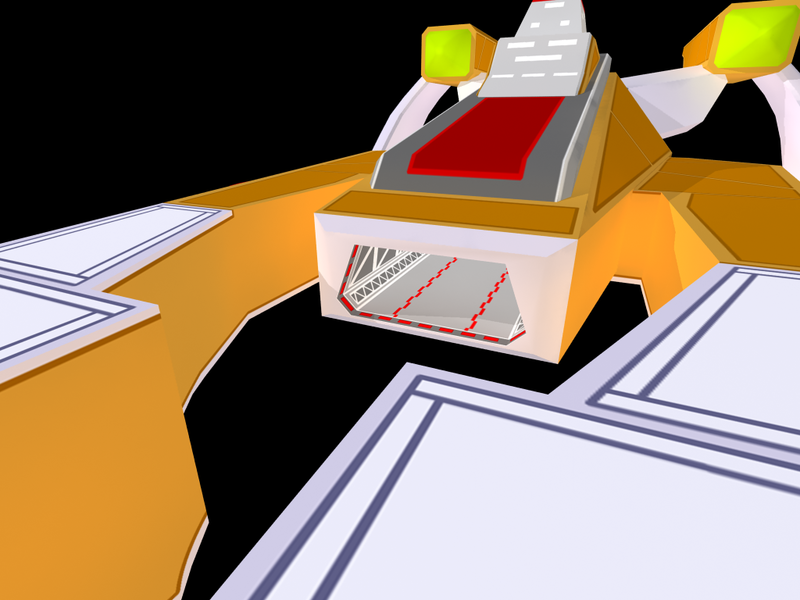 Up next are textures and possibly a starbase environment for the ship to dock in. 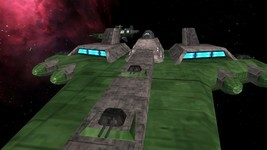 Here's another preview of Klavs' miniature ships. 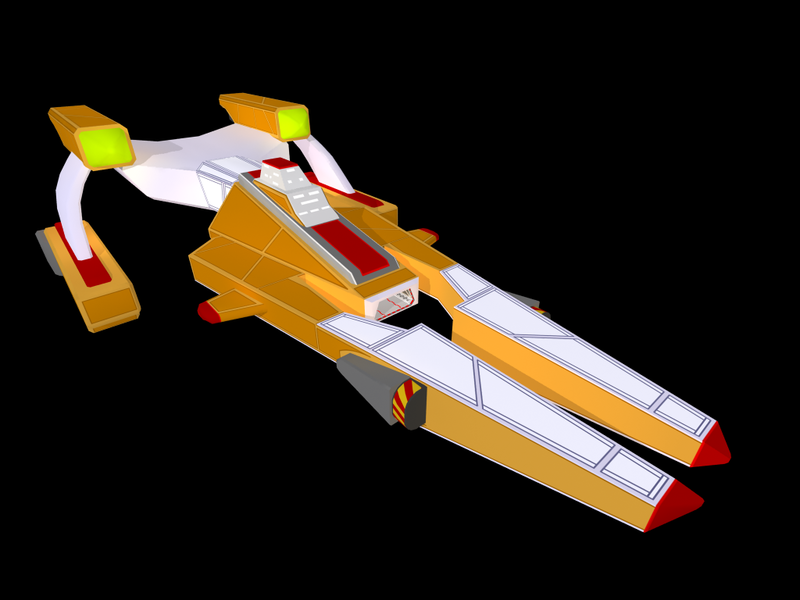 Although current technology still doesn't make large designs really feasible, the scale here is half of what was intended. 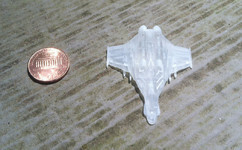 Compare the tiny Super Rapier to the larger craft for real 1/600 scale. 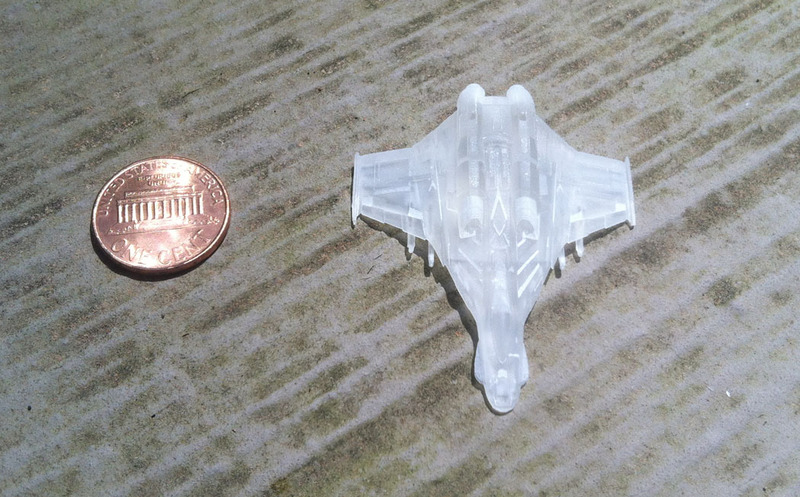 The great thing is how much detail is present in the accidental 1/1200 scale models. Since the penny-size ships came out so well, the larger designs should all look great! 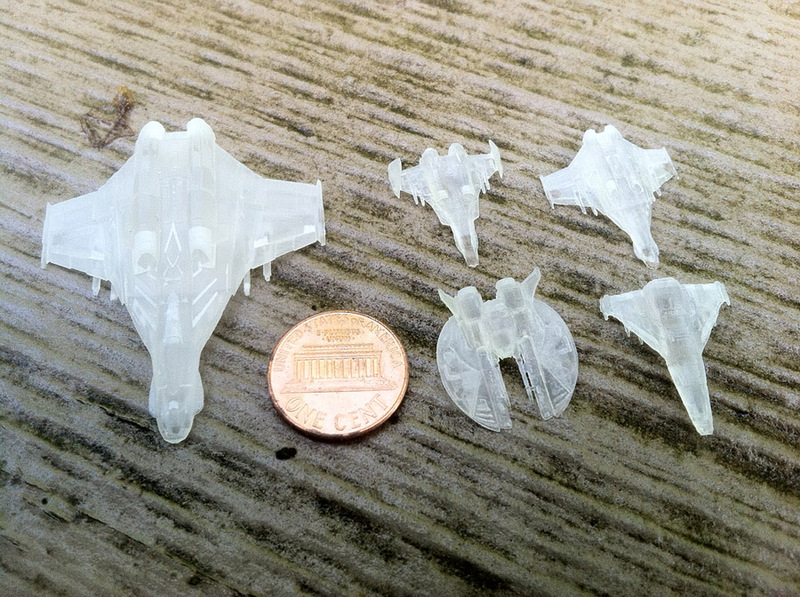 Going to order a set at 1-600 scale now just to make sure they work, then I'll make them available! 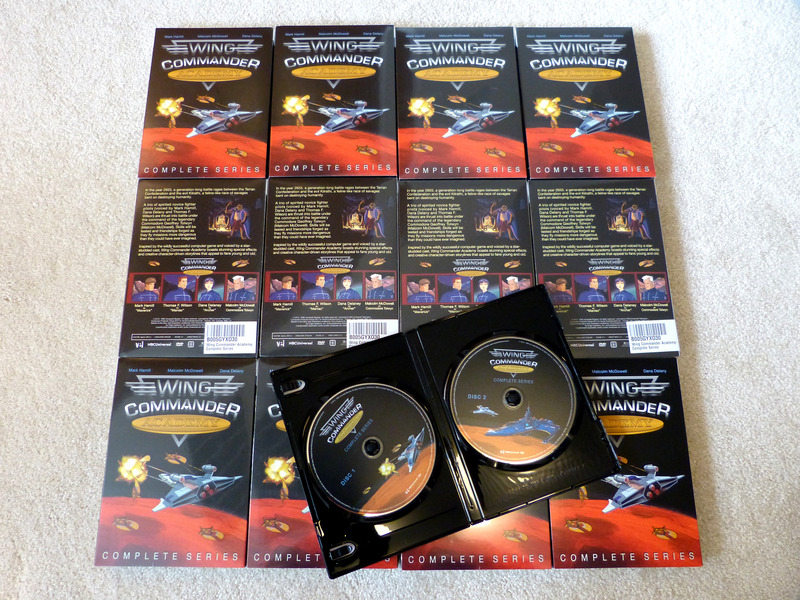 Hopefully many of you are already enjoying Wing Commander Academy on DVD. If not, here's a couple shots to salivate over! 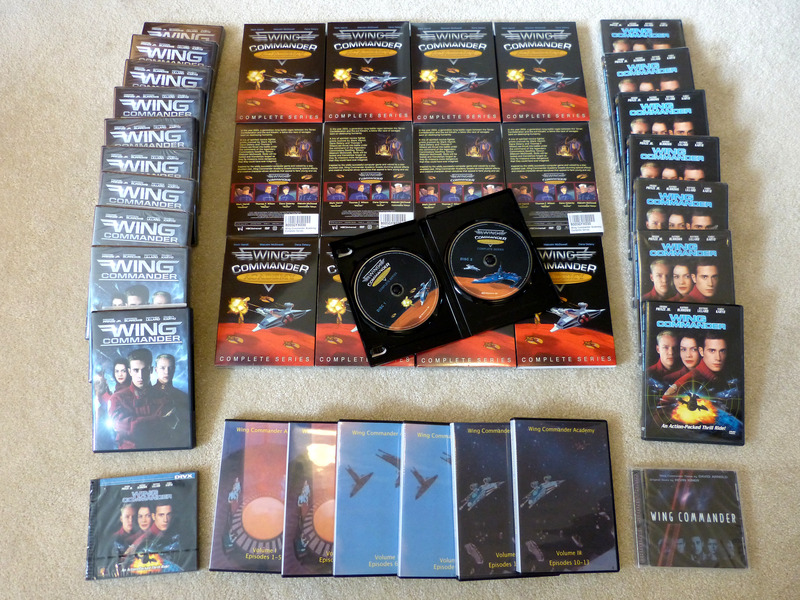 The second image adds in the two major American releases of the Wing Commander Movie DVD, plus the DIVX, movie soundtrack and old fan-made Academy DVD for good measure. 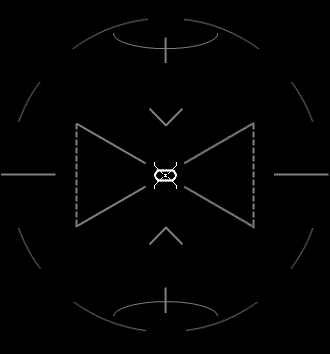 The set does appear to be coded for Region 1, so Wingnuts in other areas may need to get creative to view it. 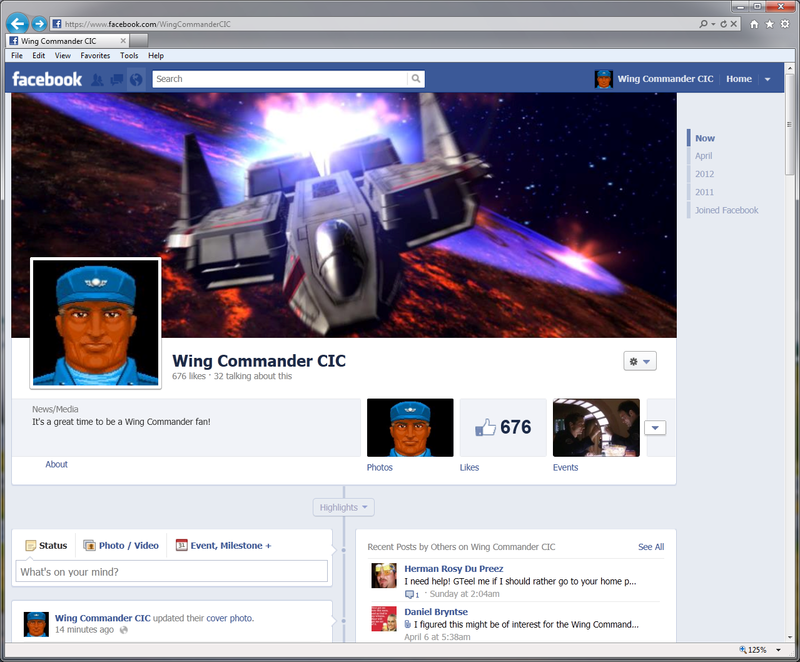 It always feels great to hold a new boxed Wing Commander product! 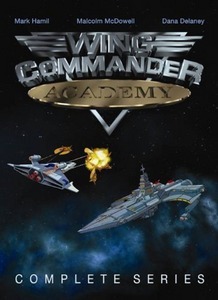 The wait is finally over, VEI's Wing Commander Academy Complete Series DVD set is available now! Fans began receiving their preorders this weekend and initial reports are very positive. If you haven't picked up a copy yet, it's available for under $20 at Amazon. 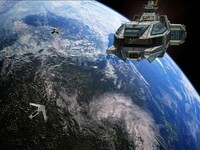 The Combat Information Center wishes everyone a happy and safe Memorial Day. 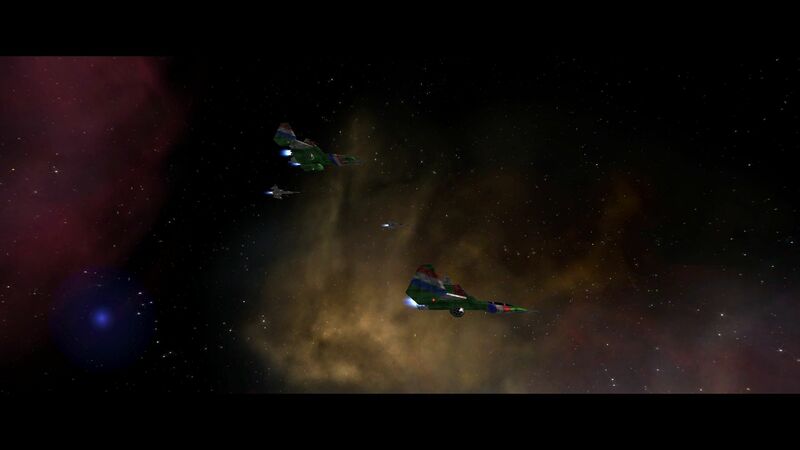 While enjoying the day, remember to take a moment to remember those who have given their lives so we can enjoy Wing Commander today and into the future. 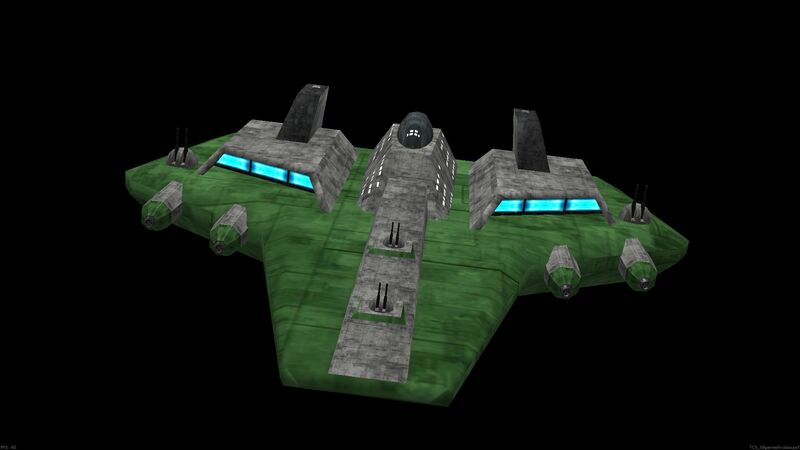 Cybot078 has completed a couple more Wing Commander style ship models. In line with his previous designs, these vessels take familiar craft and embellish them with extra modifications. The original inspirations for today's designs are the popular Behemoth and Exeter hulls. 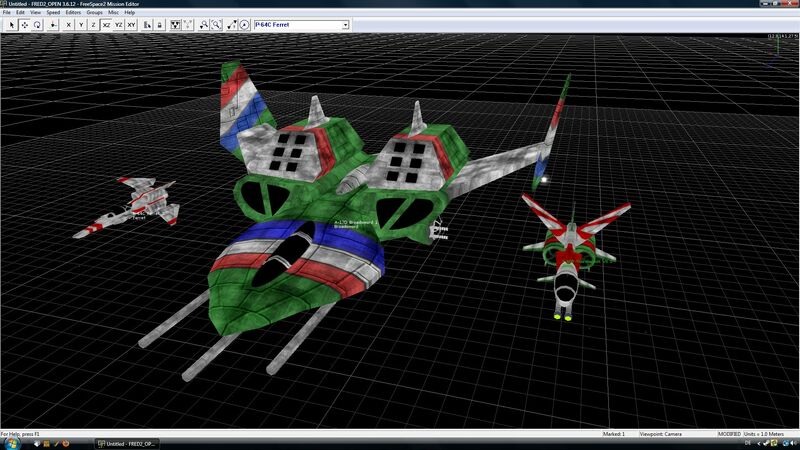 Cybot's ships have been finding their way into a variety of different Wing Commander projects lately. 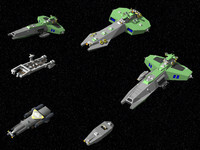 These and many other ships can be downloaded from the CIC Forums here. 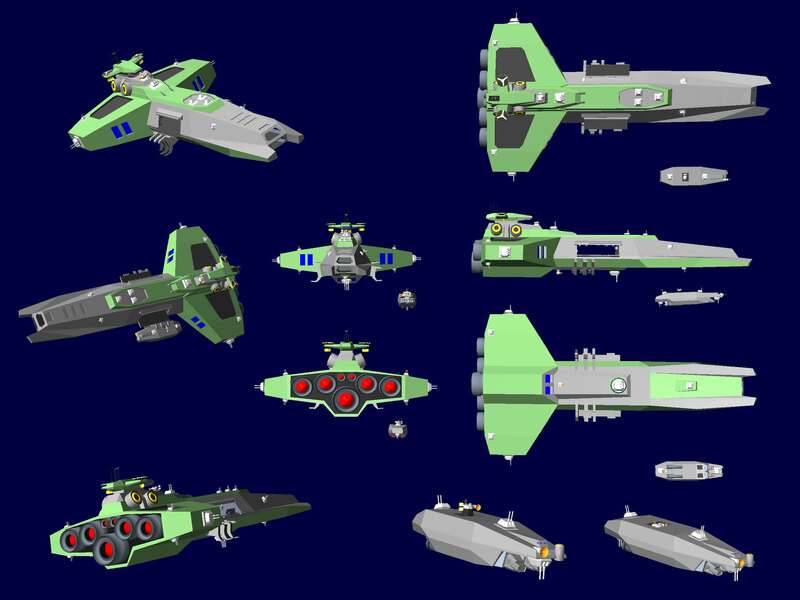 All the models I post here are free to use anything you want use them for. CMDBob is done building his Fralthi, and here's the result. The final livery complements the traditional brown/orange durasteel with blood red accents and clean white panels - a very nice contrast! 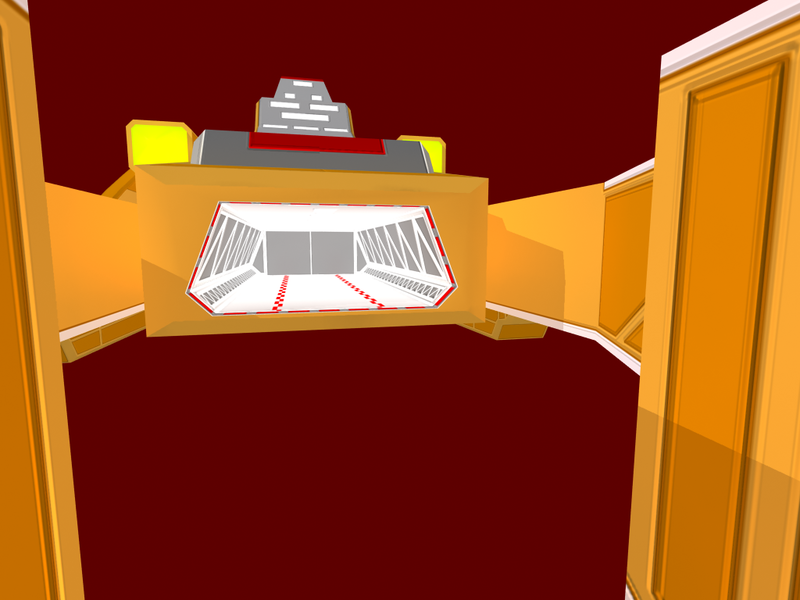 Although the design is essentially complete, Bob is reworking turret designs for all his craft. A preview of the new Confed turrets is also available below. Knew it wouldn't take me long! Here it is, the finished Fralthi! 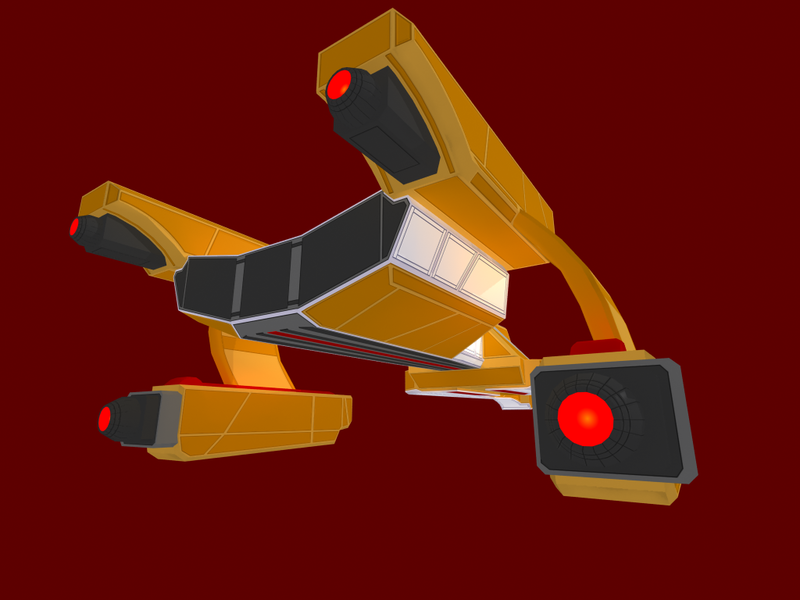 Next up are turrets, as the existing models I have for em look like crap. After that, the Exeter/Gettysberg! 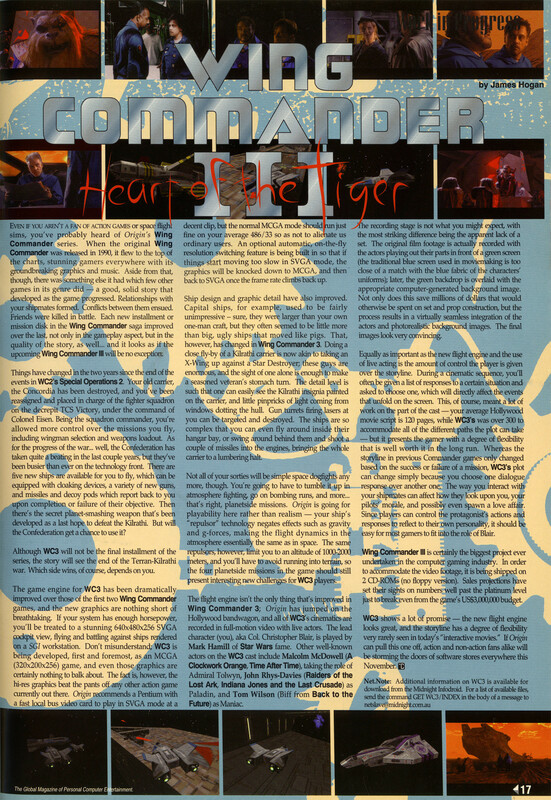 Deckard of the Ultima Codex spotted a cool vintage Wing Commander 3 preview from the August 1994 issue of PC Games Plus. It offers up tantalizing info on features such as the "stunning 640x480x256 SVGA view," fly-through capships and atmospheric missions. 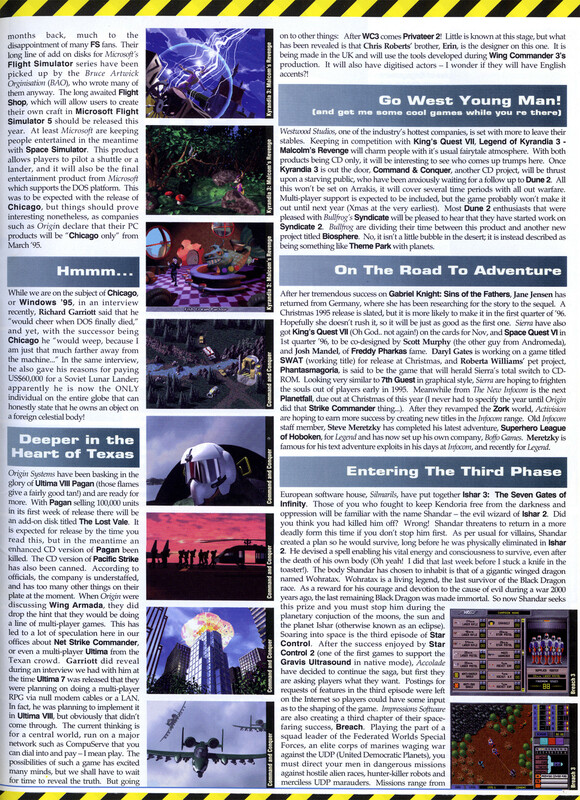 As this went to print about half a year before the game itself was released, it also refers to the game shipping on just two CD-ROMs. 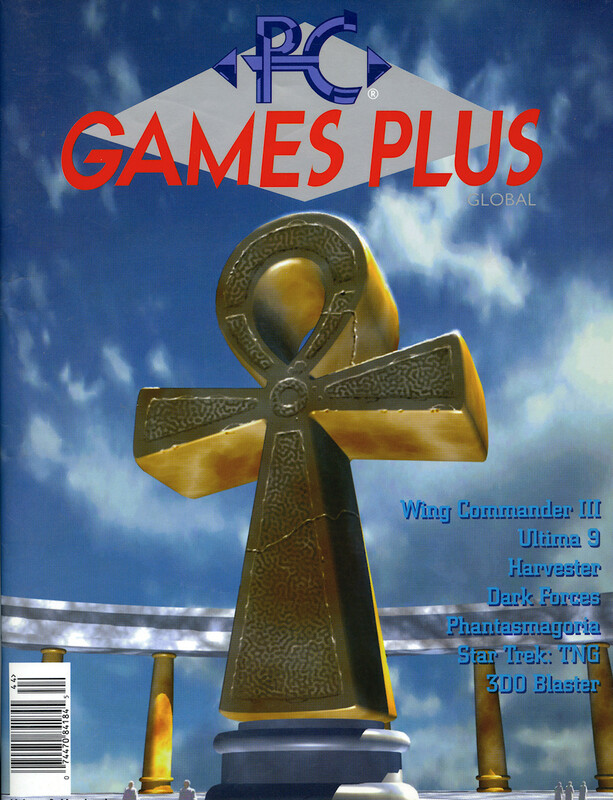 The issue also includes a review of Origin's Wings of Glory game and mentions of the upcoming Wing Commander Armada multiplayer game. Finally, there's a cute write-up from the magazine's editor on how their new email system will enable them to interact with readers over the internet! 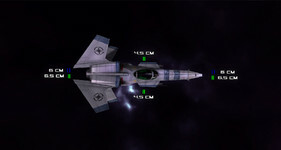 Wing Commander III is certainly the biggest project ever undertaken in the computer gaming industry. In order to accomodate the video footage, it is being shipped on 2 CD-ROMs (no floppy version). Sales projections have set their sights on numbers well past platinum level just to break even from the game's US$3,000,000 budget. WC3 shows a lot of promise - the new flight engine looks great, and the storyline has a degree of flexibility very rarely seen in today's "interactive movies." If Origin can pull this one off, action and non-action fans alike will be storming the doors of software stores everywhere this November. 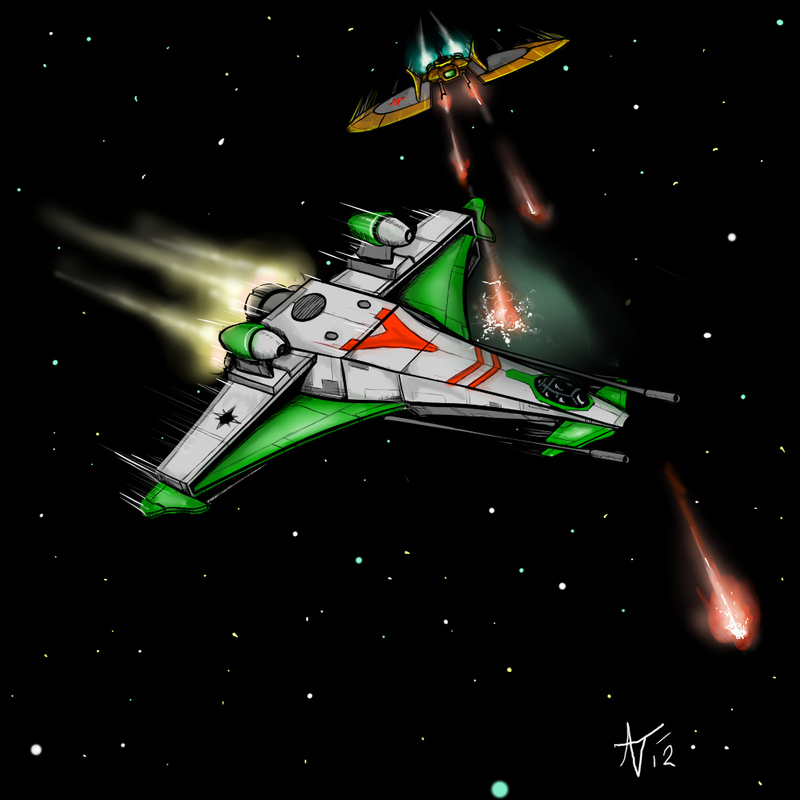 It's been a great week for fan-made pictures of Wing Commander ships, but it's been even better for real space ship action! 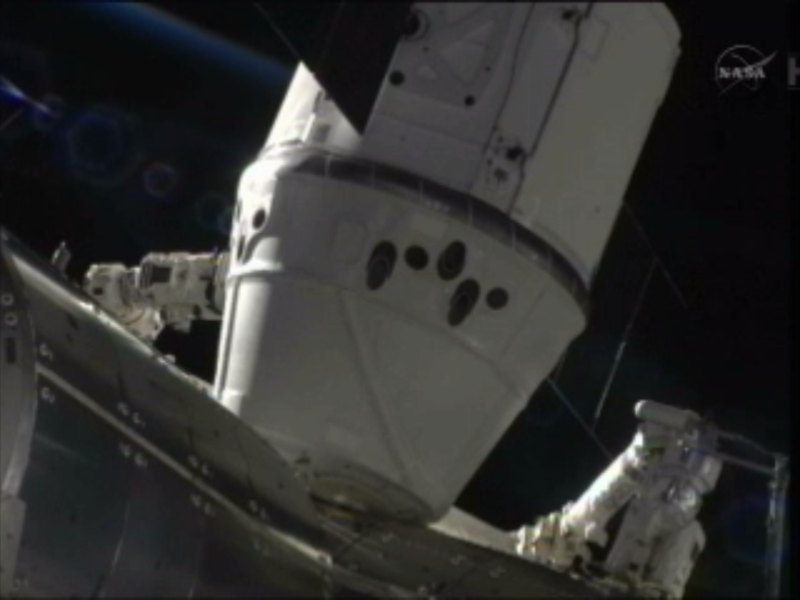 The SpaceX Dragon capsule successfully docked with the International Space Station today. 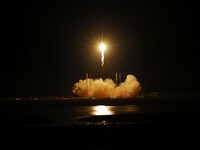 It launched into space on Tuesday and conducted a variety of practice maneuvers before becoming the first spacecraft launched by a private company to dock with the ISS. Regular cargo flights could begin later this year and human passengers could come along a few years after that. 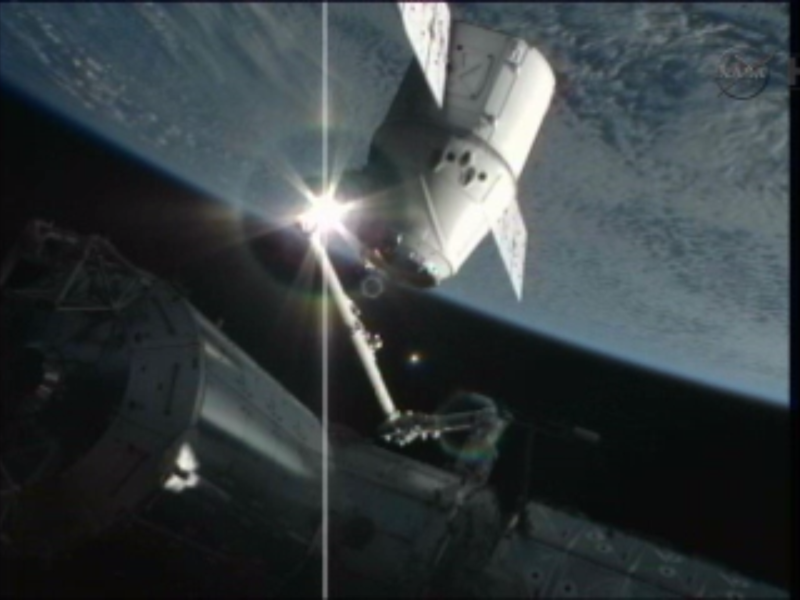 This is the first of several commercial ventures that are currently developing orbital space vehicles. We're one step closer to Wing Commander Privateer! While putting together the first version I also had your Concordia model in-engine at some point but then decided to use the Ferret for the first prototype of the shipviewer as the shading was much nicer. Kevin Caccamo's Ralari has taken a huge leap since the last time we saw it. 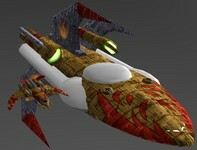 The model has been plated with nice metallic textures that don't overdo the look. 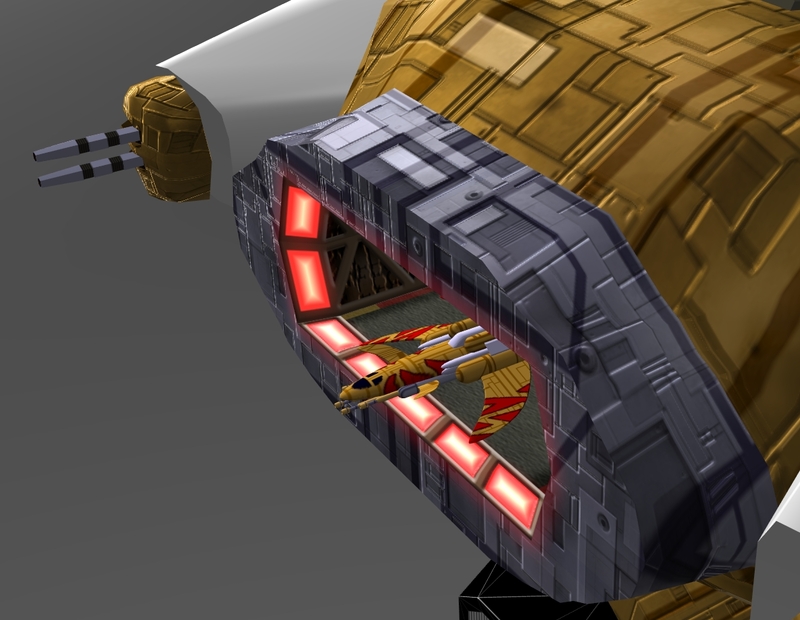 Running lights, windows, powered engines and intake glow all add significantly to the presentation here too. Everything looks energized and ready to go! 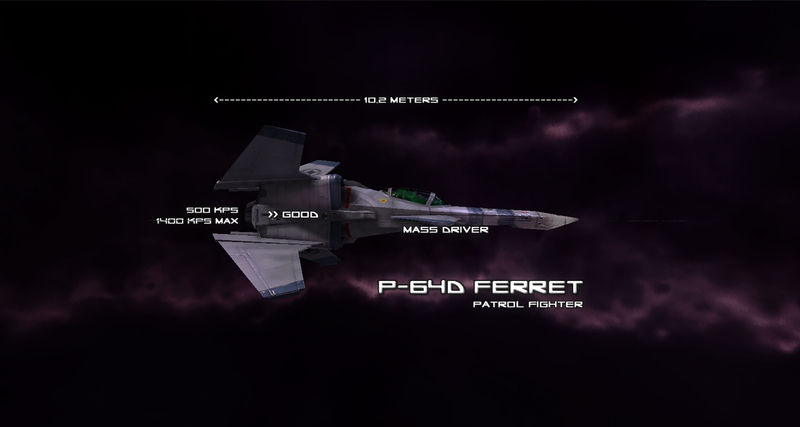 I just finished importing the Ralari into FSO for Woolie's Wing Commander: Advance Guard mod. Textures are still WIP, but it looks awesome even in its current form. 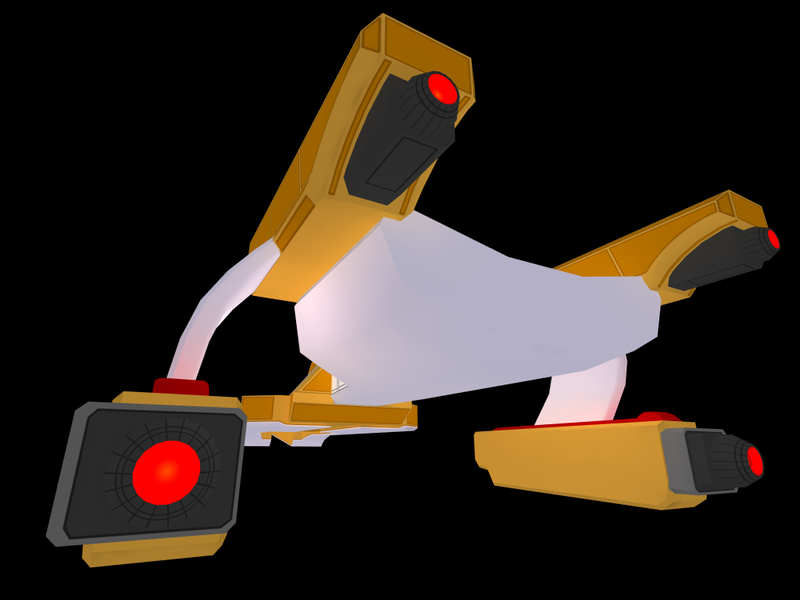 The model itself (including all of the child meshes) has 10404 polys. 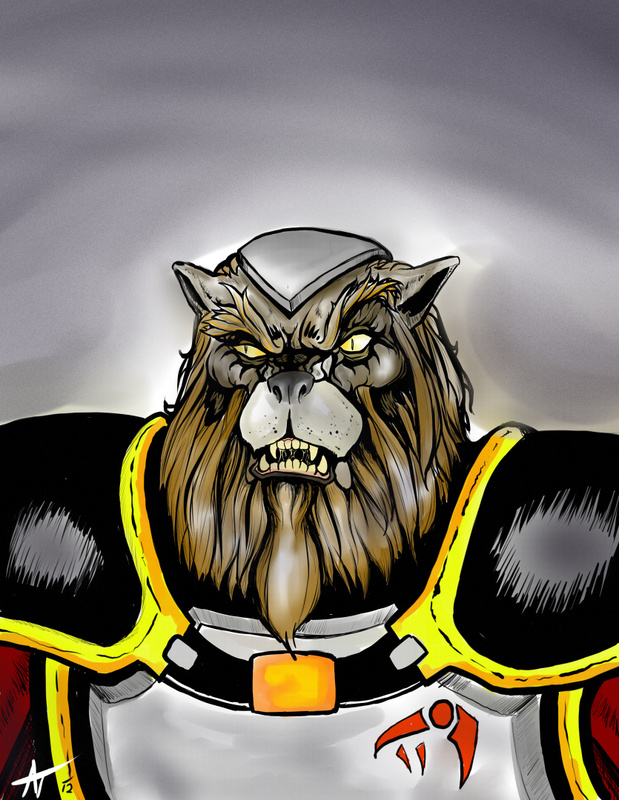 Thanks to Wedge009 for the Kilrathi logo! centaurianmudpig spotted a new PlaySF interview with the folks at GOG.com. They discuss the state of the space combat genre and the possibility of releasing expansion packs for Wing Commander games. The GOG spokesperson cites ongoing licensing negotiations as a possible reason for their continued delay, but we can't wait! PSF: GOG.com has a number of classic space and sci-fi games available, but do you think that the reason games such as FreeSpace are successful on GOG is because almost no big studios are making those kinds of games anymore? Why do you think that is? Trevor Longino: There are a few reasons why I think these games don’t get made anymore; market pressure and homogenization, how gamers play games, and how we get news about games. This takes us to our next point: how gamers play games. The people who want to play games with fantastically complex control schemes (I recall games like TIE Fighter or MechWarrior 2, where I believe I used 20 keys on the keyboard, plus my joystick, to control the game) aren’t nearly as numerous as the people who want to sit on their couch, kick back, and play a game whose controls you can master in five minutes. Take a quick poll of your friends who call themselves gamers: how many own a joystick? The answer will very likely be “not many”. At some point we left behind the joystick for the dual thumbsticks, and it’s hard to make a game for a controlling device that even people who call themselves gamers don’t have any more. PSF: The release of some old EA games has been particularly exciting, especially seeing Wing Commander and Syndicate again? But why no expansions or speech packs? Trevor Longino: We’re working on the expansions and speech packs, but the rights are apparently very difficult to secure; progress is going very slowly, so while I won’t say “give up hope”, it won’t happen next week either. 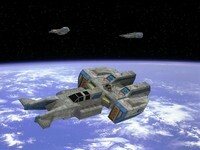 Note that the GOG releases of Privateer and Wing Commander 2 do already include the speech packs. You can read the full interview here. 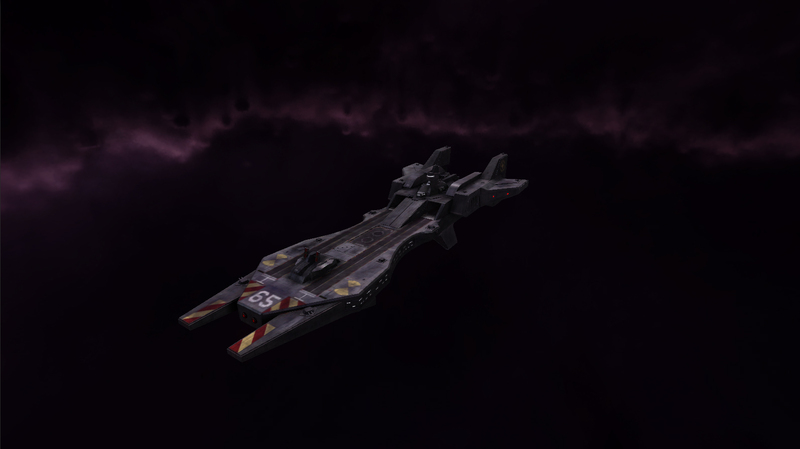 Here's a new Confed showcase of capships for the Enigma 2666 mod. 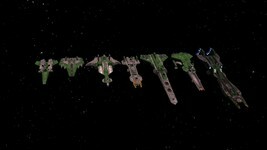 Each ship's length and scale is still subject to some potential tweaking to sync better with fighters, but the current lineup is displayed below. The TCS Concordia is very far along the design path, as is the Gilgamesh. 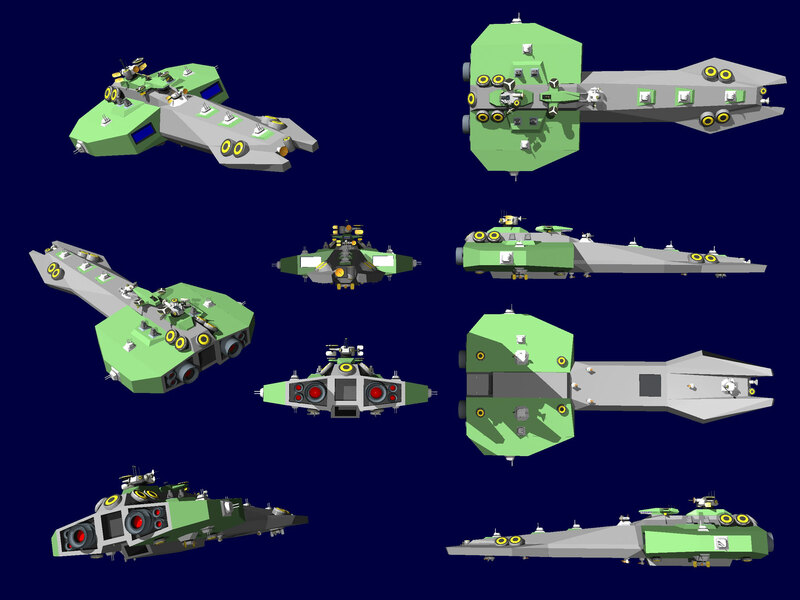 The different destroyer shots show how capship turrets have evolved into a rounder design that fits with the larger spaceframe better. 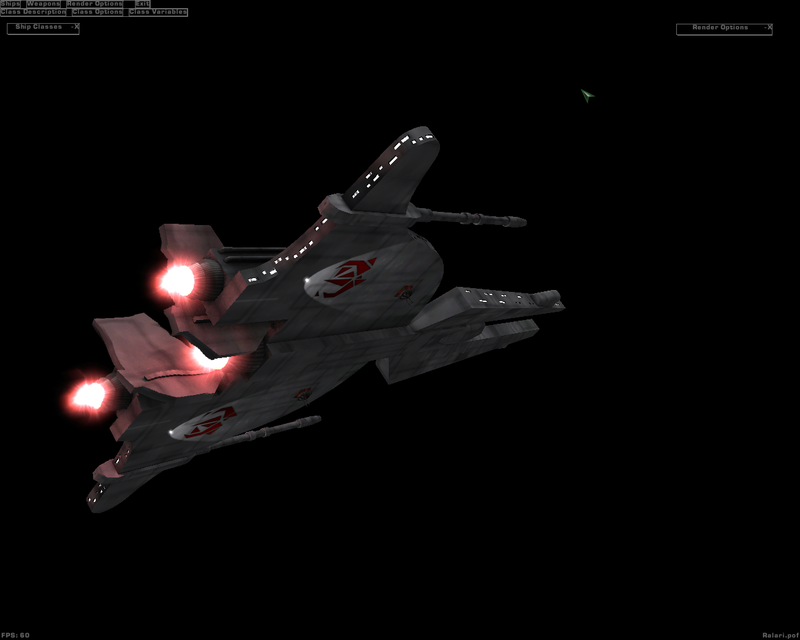 Finally, there's an updated peek at the what the fighter will look like with a well bump-mapped Scimitar. Exeter 360, Gilgamesh 312, Waterloo 503, Wake 500, Gettysburg 850, Bengal 700, Confederation 987 meters. 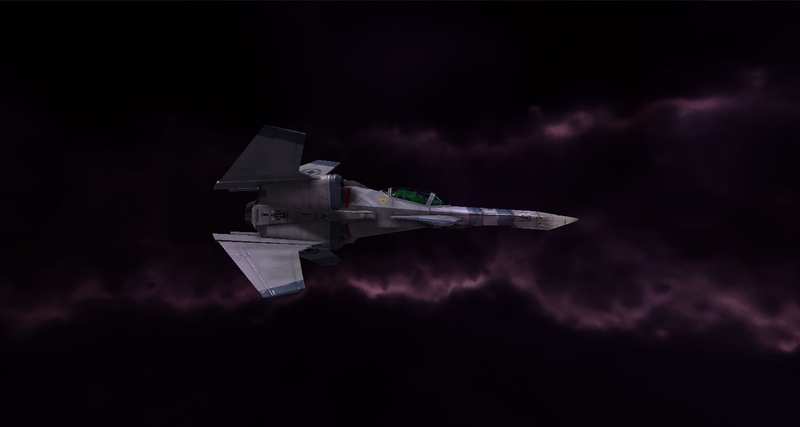 Sleeper helped me with upgrading the fighter textures using the bump map texture from Kevin's Scimitar with the decals from the Hornet. "Sir, if we spot this ‘Fralthi’, should we engage?" Now we go from Fralthra to Fralthi WIP images. 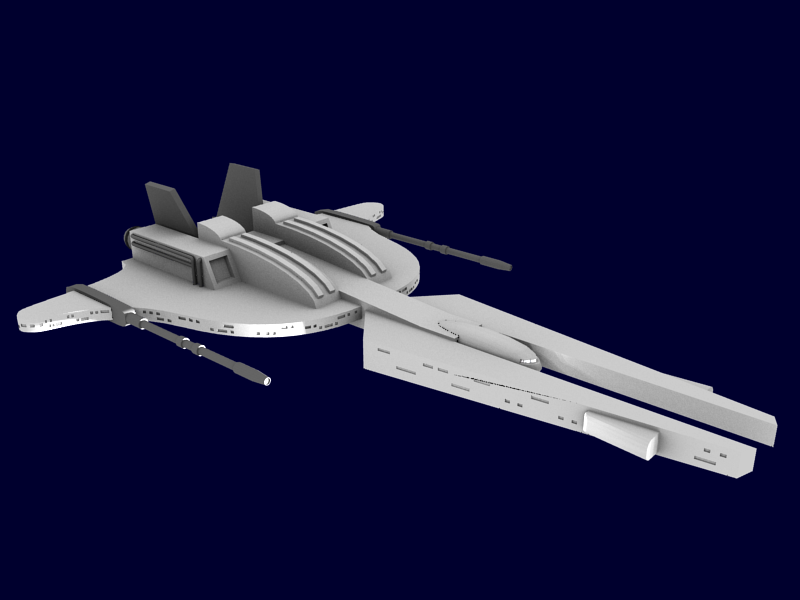 CMDBob's latest design is a classic Kilrathi light carrier/cruiser. 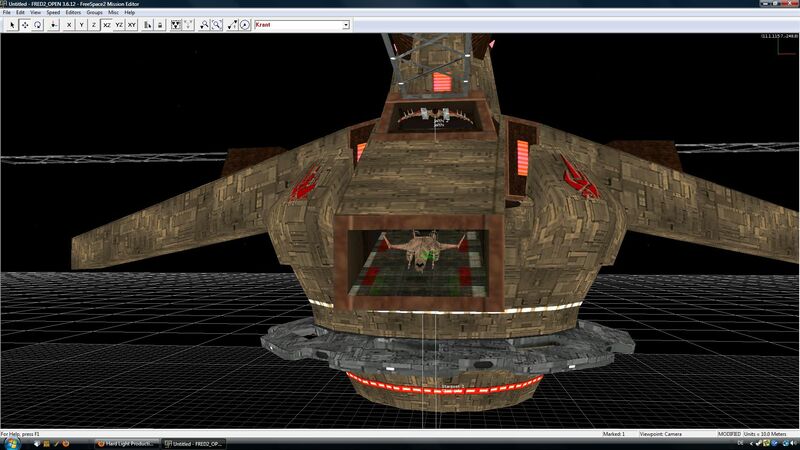 His model has real clean lines and an animated WC1-style set of textures. I'd even call the look quite charming, but such a sight would be nothing but terrifying to Confed pilots in 2655! Just here to say, yes, I am alive, and the Fralthi is nearly done. I've got to finish the texture map, which is coming along nicely, then generate the height/normal map and specular map, as I do. Here, have some WIPs! 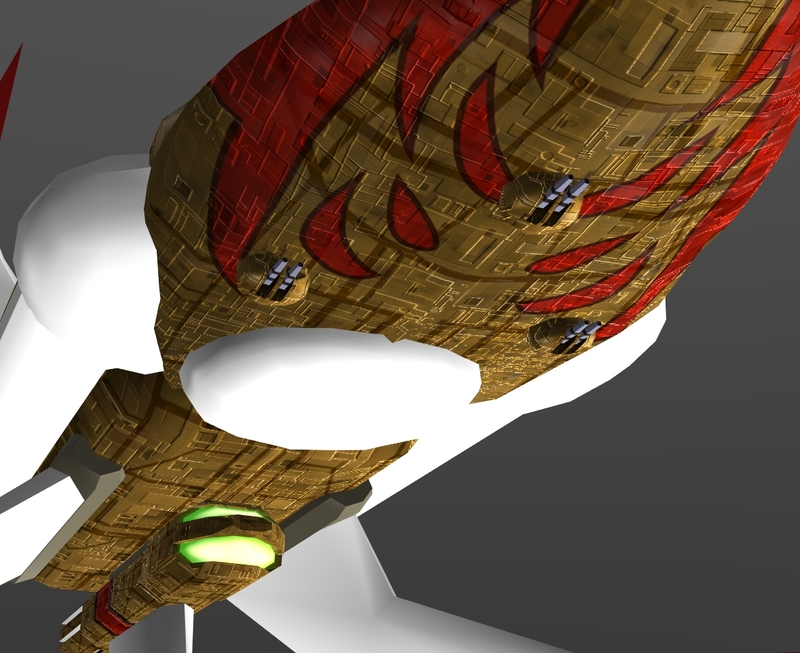 Red Baron has started to texture Cybot's Fralthra, and it's quickly turning into quite a work of art. The color scheme already does a great job of evoking Wing Commander 2. 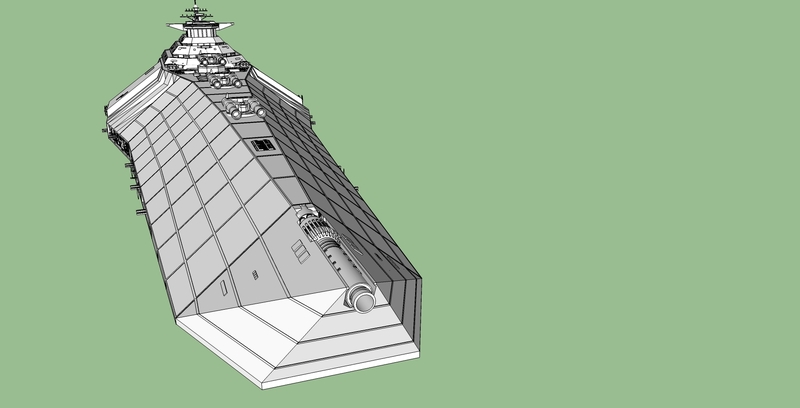 He's also scaled a Jalkehi as a point of reference and imagined what the entire fighter complement of the ship might look like. 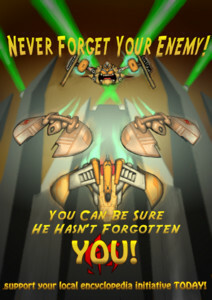 Let the baron know what you think at the CIC Forums. This Fralthra apparently belongs to clan Kiranka now. Currently I'm still using the original WC2 colours. I'm thinking about lowering saturation a little. I said myself texturing them might ruin the simple beauty they have, but here I am doing one anyway. 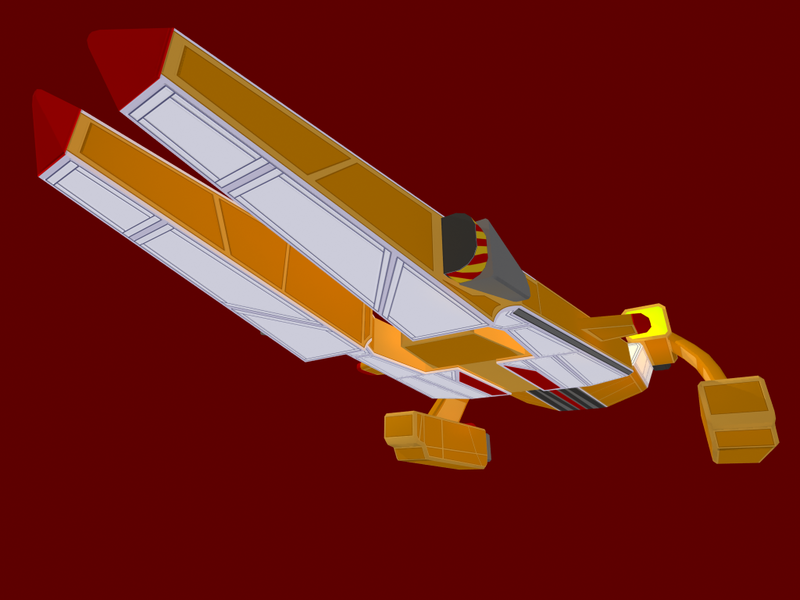 I'm not very good at UV mapping *or* texturing, I hope I do them justice. 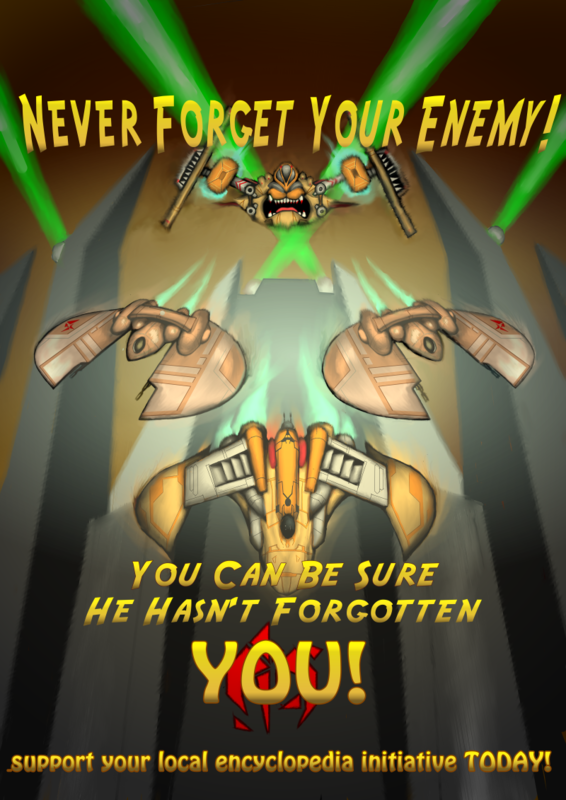 If you haven't yet downloaded the long-awaited fan game, now is as good a time as any to get your hands on a copy! The Windows installer weighs in at a hefty 3.4 gigabytes, so we recommend some kind of download manager that can resume paused or failed transfers. Older Windows editions may have trouble unpacking a zip file of this size. If you experience any difficulties, use 7zip to extract the package. 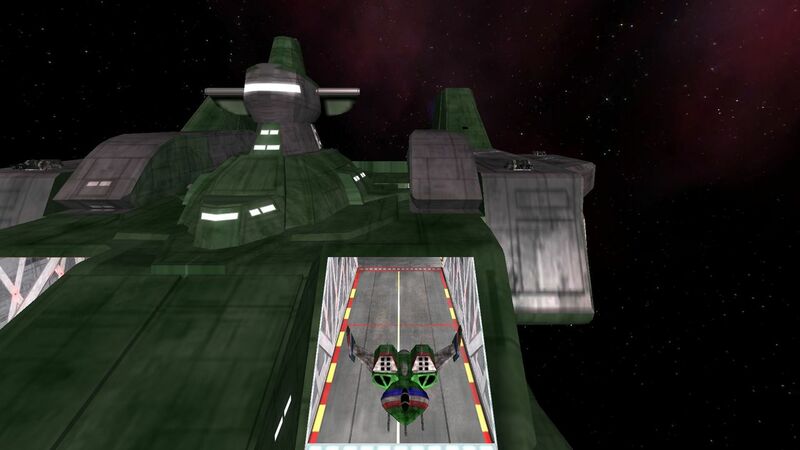 Wing Commander Saga is a standalone game that runs on top of an updated Freespace 2 engine. 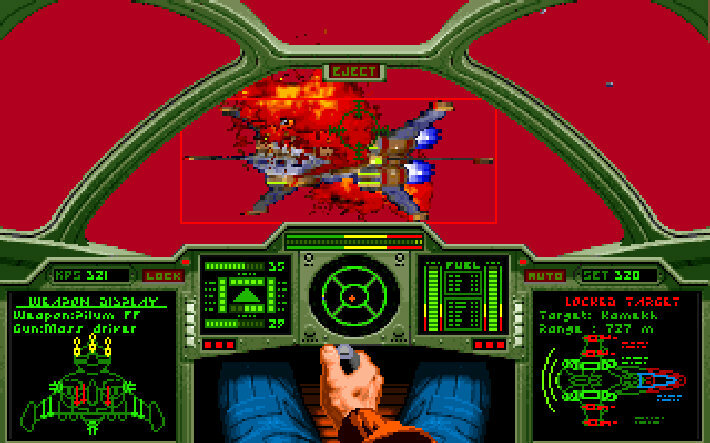 The game takes place during Wing Commander III, but in different theater of battle. 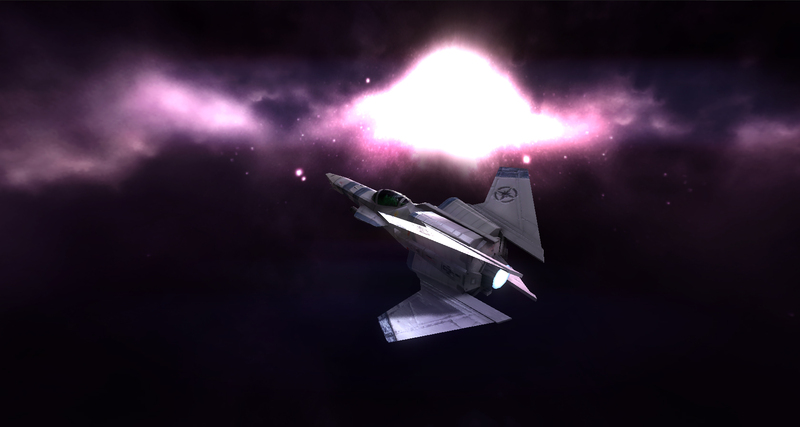 You may also want to grab the soundtrack or mission editor and tutorial. 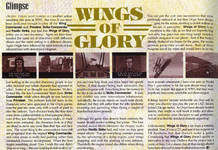 The official website has more cool downloads like printable DVD covers. 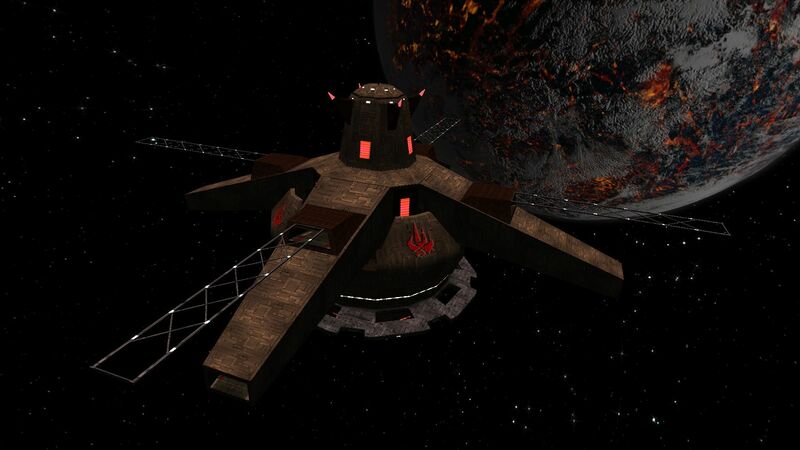 The TCS Phoenix has launched and the game has begun in the Wing Commander: From the Ashes forum-based RPG. Some of the first characters have already been defined, and action in the Pentonville System is now in motion. 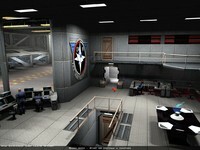 There is also an out-of-character area where new players can ask questions and get situated before they begin role playing. Check it out for yourself at Phoenix Roleplaying here. When the Kilrathi fighters had arrived on an attack run, the Intelligence Officer had delivered her analysis calmly and dispassionately. She never gave her opinion - but to be honest she didn't need to. She'd been prepared to die with the rest of the crew. Except the flag officer had decided to jump, leaving four transports to their fate... something the Kilrathi had made propaganda hay of. 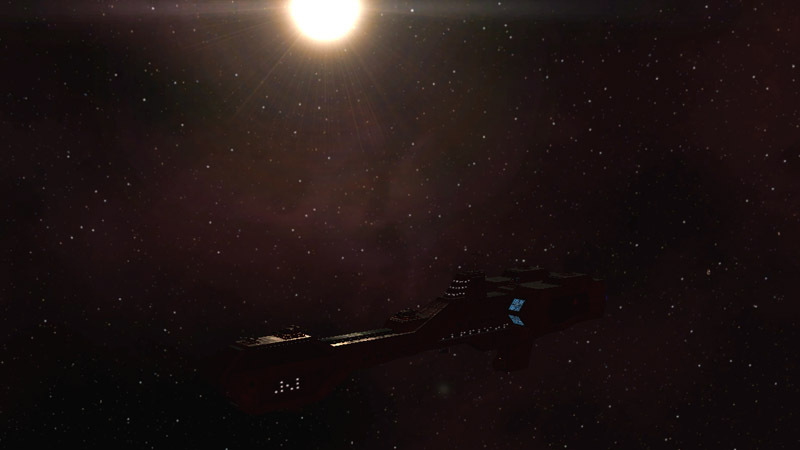 Now this 'coward' ship, having survived by only one vote on the repair board, was starting to work its way back. Not going up against the enemy, oh no, they were stuck dealing with pirates. Langer moved over to the com, calmly pressing down the button. "All air crew to the briefing room at 1100 hours", he said over the intercom. Then he went to fix himself a sandwich, filling it with some of the tuna his father's company produced. 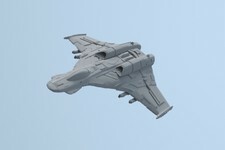 Here's a preview of new designs that Klavs is working to bring to the Shapeways model factory. If all goes according to plan, this foursome may be available in a future bundle pack together. 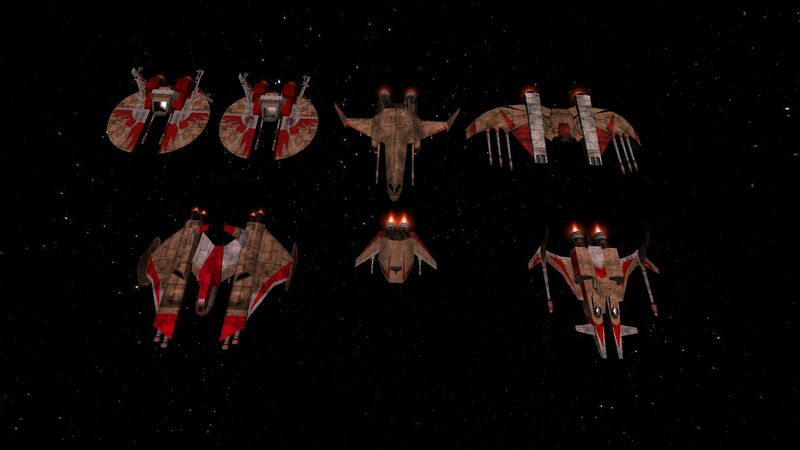 It's an interesting assortment of ships - Rapier, Super Wing Commander Rapier, Scimitar and Dralthi - and they all look fantastic! I've ordered prototypes of these, just to make sure everything is working before I release them to you guys. 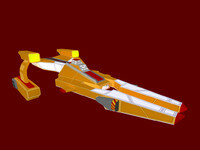 :) I'll also update the single Scimitar when I confirm that the prototype is working. All ships are scaled to their correct sizes, except I actually made the Dralthi a couple meters shorter than cannon (28M) since it already looked to big by comparison. 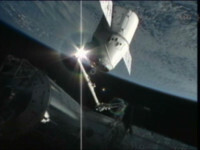 The Super Rapier has similarly been scaled up slightly, reflecting a slightly larger spacecraft. Mostly to keep the canopies the same size as modeled. 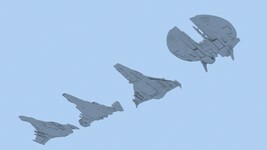 The 1-600 scale ships wind up being nearly the same size as some of the old Star Wars action fleet Micro Machines, and conceivably if you had any of those little stands remaining, you could drill a small hole and mount them on a stand. Academy Just Two Weeks Away! Wingnuts now have less than 14 days to prepare for the release of Wing Commander Academy on DVD! 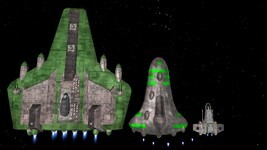 All thirteen episodes of the television series will be available in this set starting on May 29, 2012. Barnes & Noble and Deep Discount have some of the lowest prices, and there's still time to order from Amazon.com with release date delivery! And to further get you in the Academy mood, here's another beautiful NinjaLA sketch. 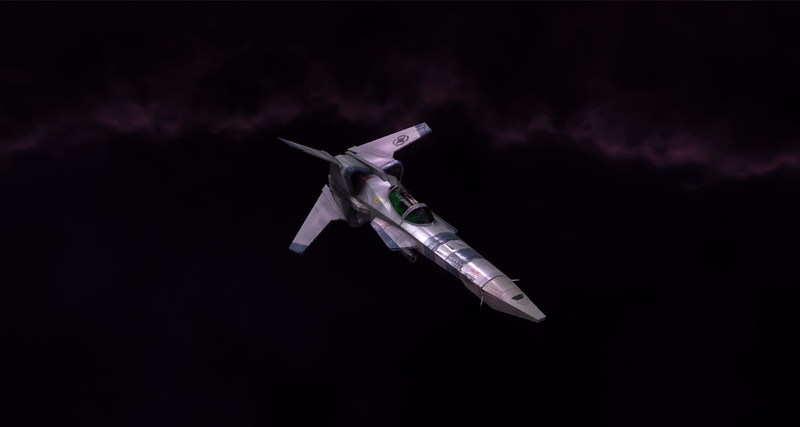 The CF-105 Scimitar was the workhorse of the cadets flying off the Tiger's Claw, and soon you'll get to watch them again in the new high quality release! 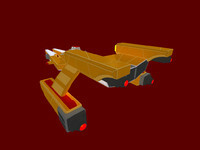 ScoobyDoo has put together several more concept renders inspired by a variety of sources. 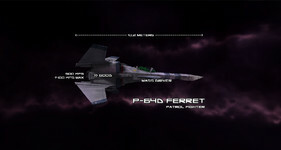 The first is a medium size capship with fighter-carrying ability, and it's followed by a beefier looking take on the Bearcat. The last design is a more unique idea that mixes Wing Commander elements with a Freespace ship. 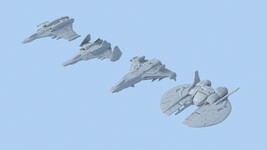 Check out the Ecantonas escorting the frigate! The Olympia, one of Lar's designs: a frigate with a full hangar. I was aiming for a coast guard setup. The Cougar, from the earlier post. Peagasus, one of Aldo's models, scaled down from a FS2 destroyer to a bomber size. Here's a big update for the Enigma 2666 mod. A handful of new pictures show off where the game is at today. 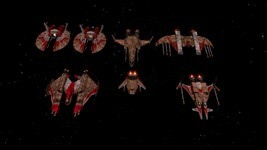 Four different capship classes are pictured near a large Confed base, and all the fighters sport updated textures. 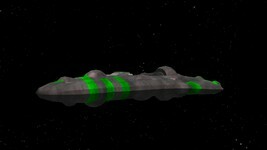 The Kilrathi Starpost has also been significantly enhanced, and its defensive craft have been rescaled slightly to fit better. Deathsnake has gotten some assistance from sleeper and Kevin on cleaning up some of these designs. The new looks help bring some consistency to the game's visual style. 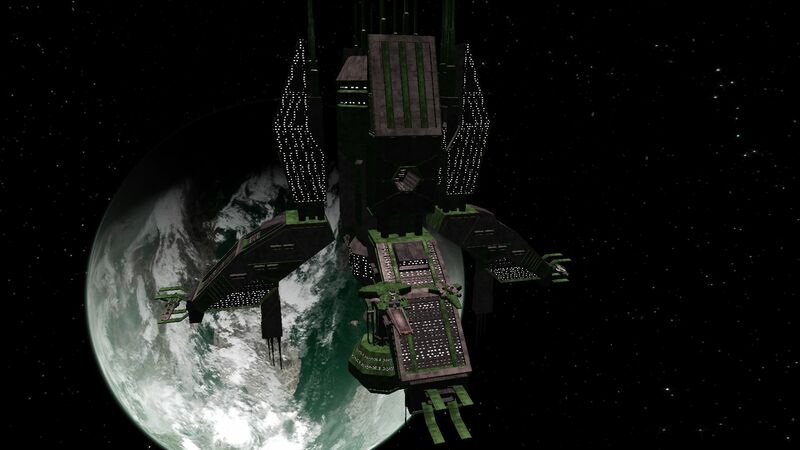 The world's biggest website dedicated to the Crusader series, Echo Sector, has gotten a big revamp. New features include a streamlined menu interface and increased security. Not all of the links work yet, but more features will come online soon. Head on over and help support a fellow Origin fan site! Greetings Crusaders! 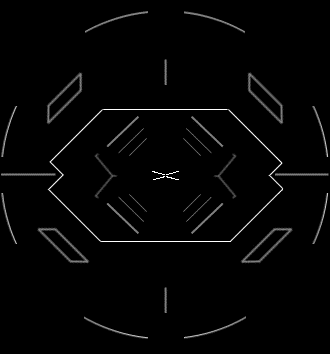 Welcome to the all-new Echo Sector website. I’ve been wanting to redo our website for years now, but the attack to our vulnerable, out-dated website by a script kiddie recently kicked me into overdrive. 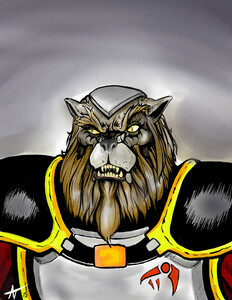 NinjaLA has sketched a new fearsome Kilrathi. With his latest warrior, Ninja has done a good job of introducing menacing facial features, and this sinister look goes beyond just drawing a humanoid tiger. The armor is inspired by the classic WC2 style with a WC Movie headpiece. Hit the discuss link to let Ninja know what you think! 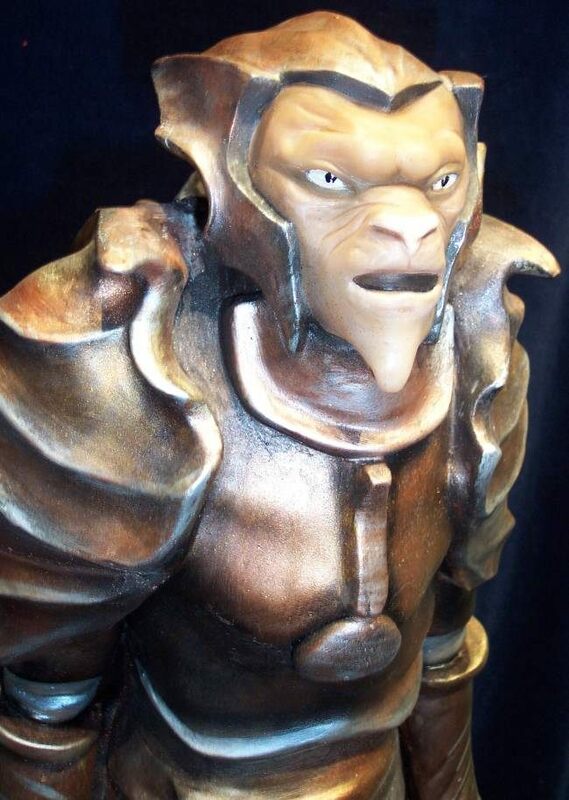 Kevin Caccamo is once again working on a Ralari model. Since we last saw the ship, additional detail has been added to the window areas and secondary structure. It appears to conform to the Claw Marks schematic quite well. You can let Kevin know what you think at the CIC Forums. 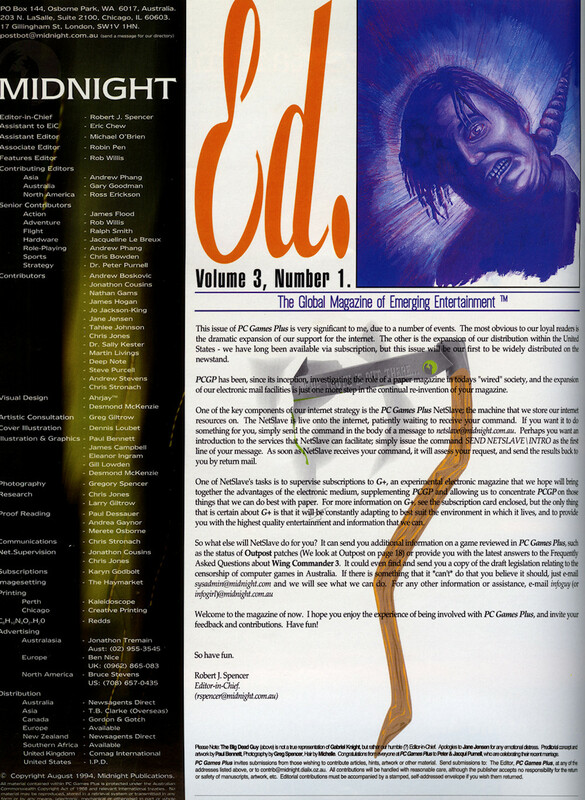 In recent weeks, Armchair Arcade has been conducting a series of interviews with famous videogame composer George Sanger. 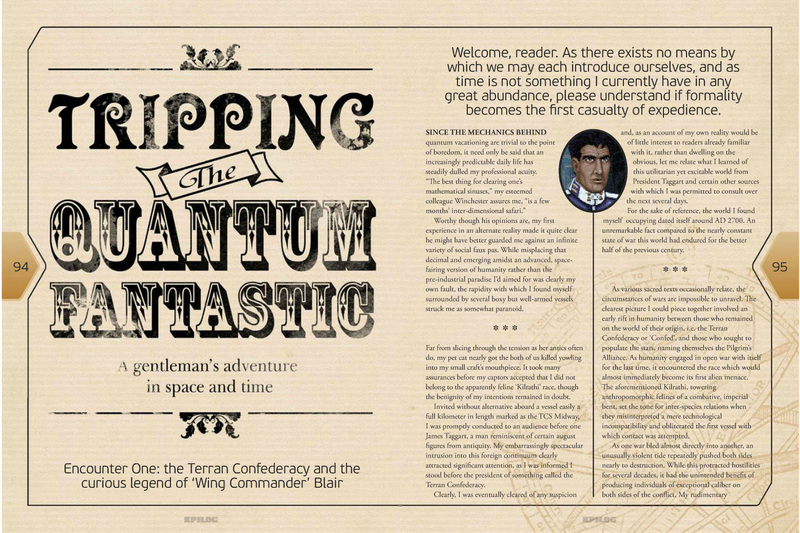 The newest issue talks about his and Dave Govett's work on the soundtrack for the original Wing Commander. Well worth a listen! Hat tip to centaurianmudpig for finding these clips. 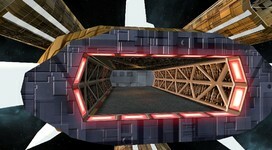 Have you played one of the following: Wing Commander, Ultima Underworld, The 7th Guest or the 11th Hour? If the answer is "yes," then you've heard the Fat Man's work! The Fat Man--aka George Sanger--is the greatest of all PC game audio composers and pretty much invented modern game audio. Plus, he's an epic storyteller and one of the original Cool Dudes. Matt Chat 145: Why The Fat Man? It's real, and it works! Really surprising how much detail came through. The Super Rapier is now available in 1-600 scale! 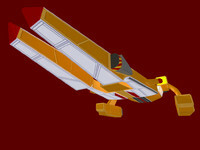 You'll note that the new version has the guns moved further outboard, just like the SWC version. 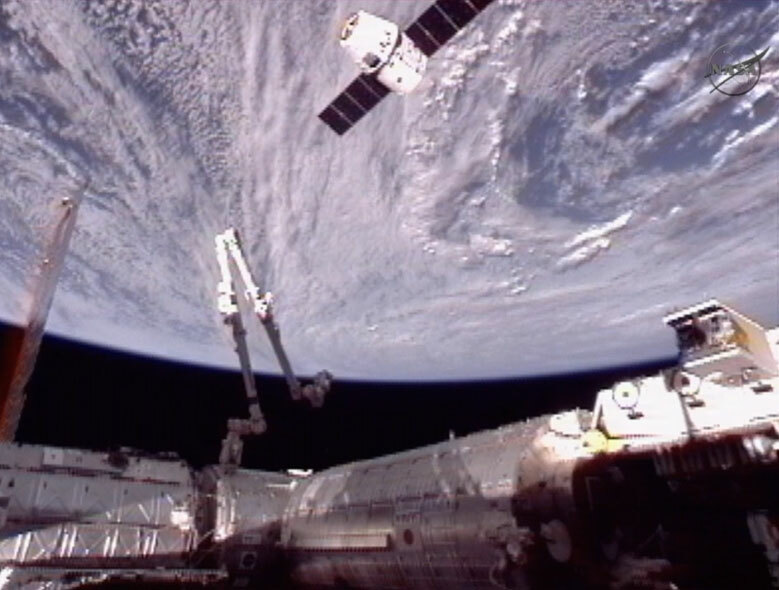 Long range scanners are also picking up some sort of "flying pancake". 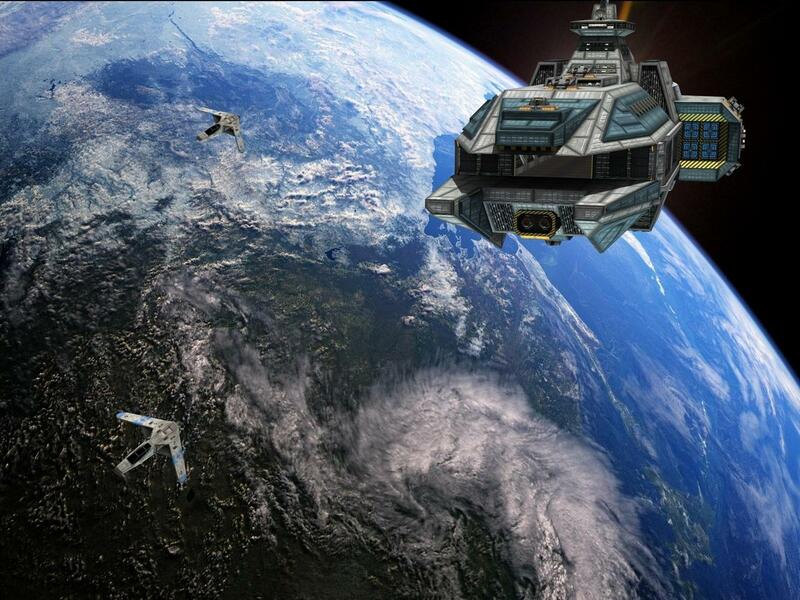 The WC Saga team has released the soundtrack to their Freespace mod. They are also working on a spinoff album based on George Oldziey's tunes from Wing Commander 3. You can grab the Darkest Dawn OST here (187 meg zip). Firmly ensconced in the geeky pantheon of computer legends since high school, Richard Garriott can afford to pursue his dreams - even the wildly improbable ones. 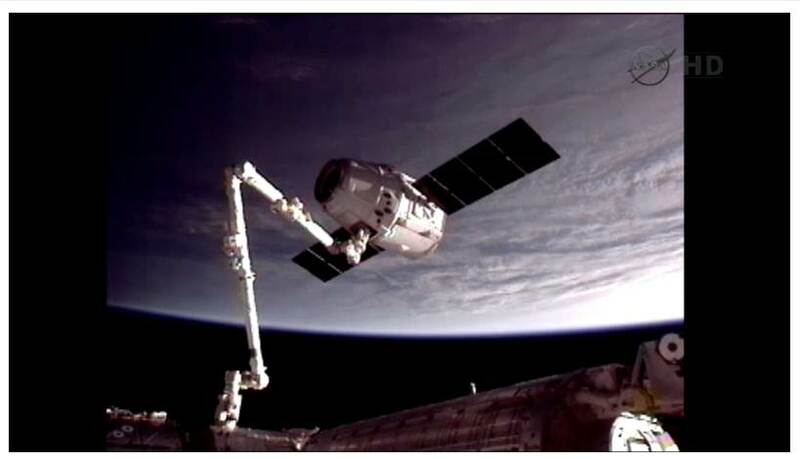 For instance, following in his astronaut father's footsteps. NASA won't take you because of bad eyes? No problem! 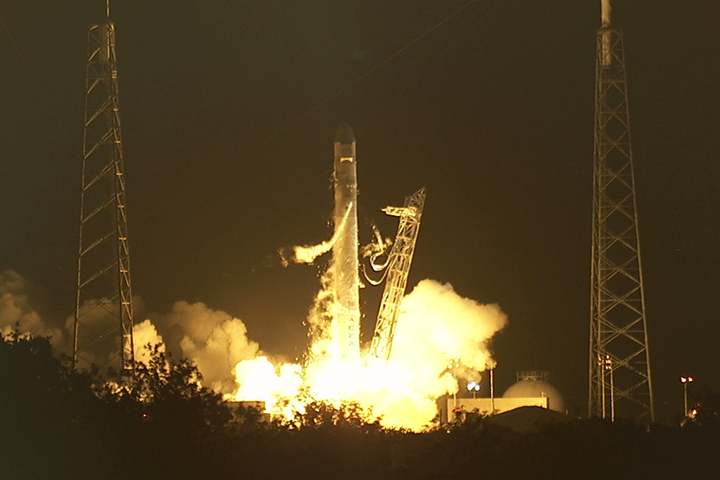 Pioneer your own private space industry and buy a $30 million seat on a Russian Soyuz. 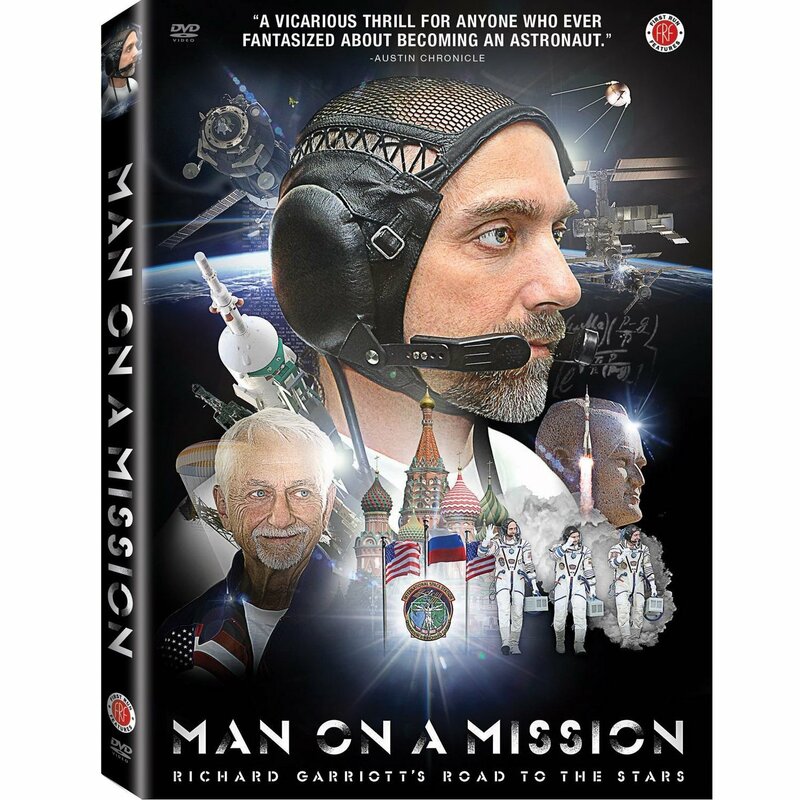 Richly funny and invigorating, Man on a Mission tags along with Richard on his years-long quest to be the second Garriott into space. And maybe come back. 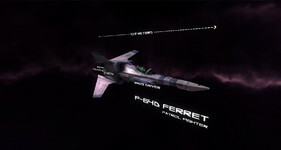 Deathsnake has integrated a new model by FekLeyrTarg's into the Paradigm. 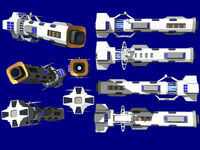 There's some ongoing discussion about the proper size scaling, since a specific length is never given. 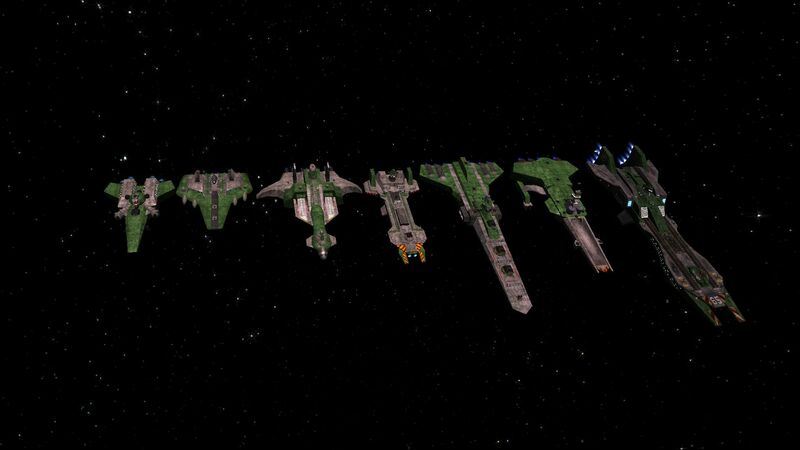 The shots below show the ship at a couple of different sizes, and there's some potential to make it comparable in bulk to the Gilgamesh. 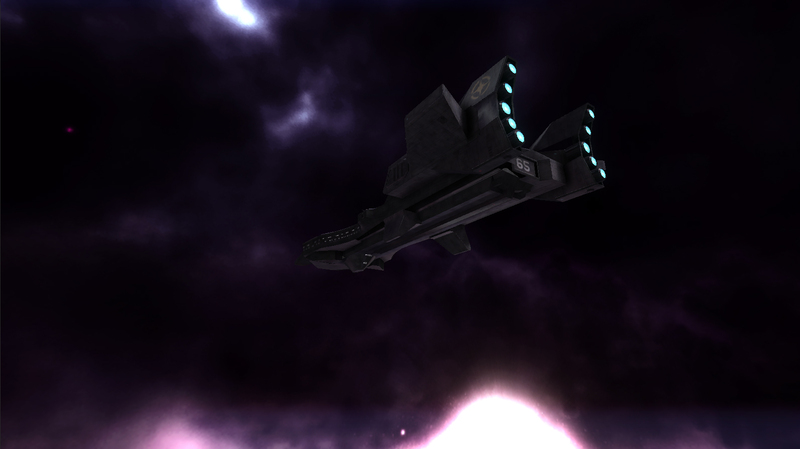 The textures and thrusters will be changed again. 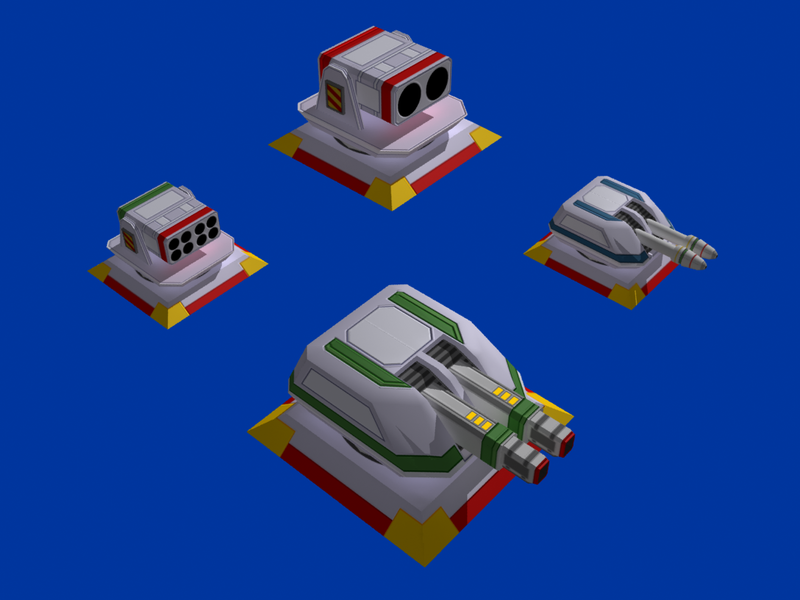 Turrets are also not done yet on the model. 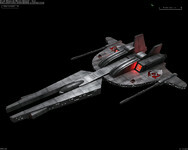 Armament will be only in turrets (you can't give the capship guns in Saga). 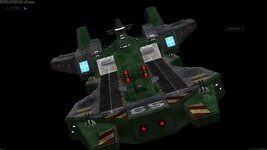 So I want to install: 2 Dual-Tachyon turrets, 4 Dual-Laser turrets and 2 IFF Launchers (1 up/down). 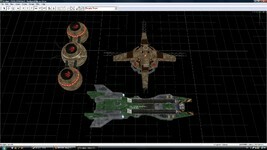 BOC_Havoc has put together a very sharp 3D ship viewer. 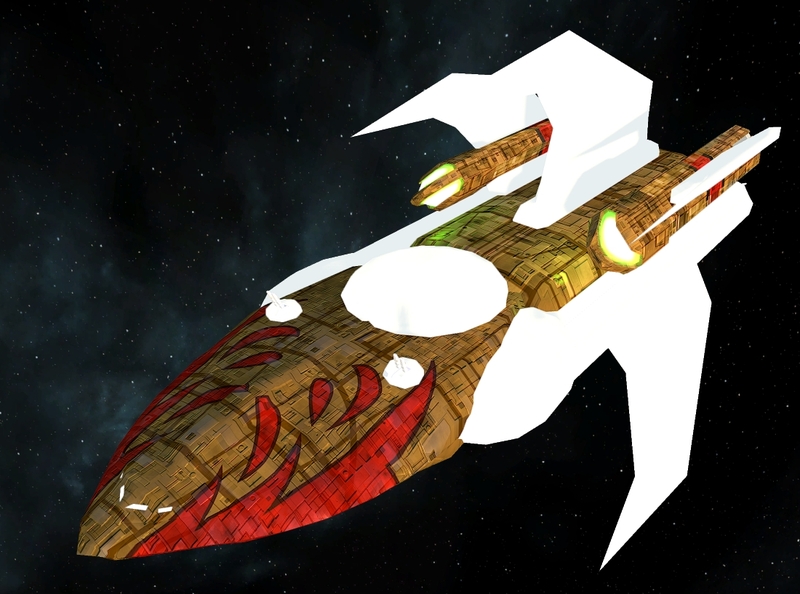 The program is still in the prototype stages, but you can try out the current build here. 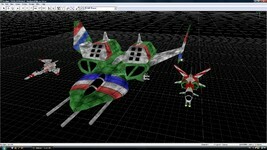 The unity web player plugin is needed to see the model. 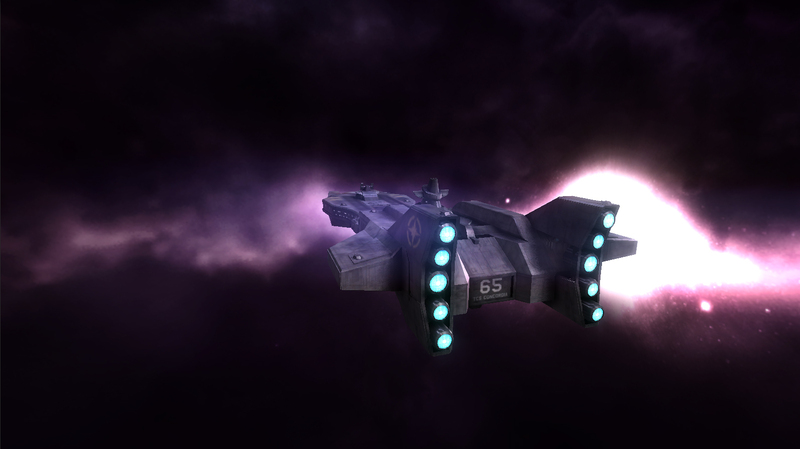 Klavs' Ferret is available to manipulate in the current mockup, and it's already pretty cool. Havoc has some ambitious ideas for this app, so let him know if you can help! I had the idea of building an online 3D shipviewer for the wcnews shipdatabase, so I sat down today and created a very basic first version. Please not that the GUI is horrible (I just wanted to try some things out) and most likely isn't needed at all. Press and hold the left mouse button to orbit around the ship. 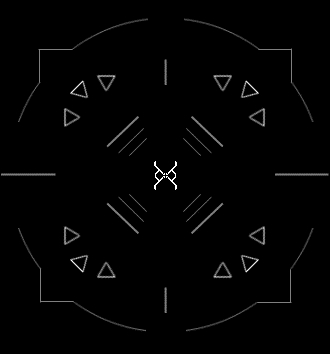 Use the mousewheel to zoom in and out. 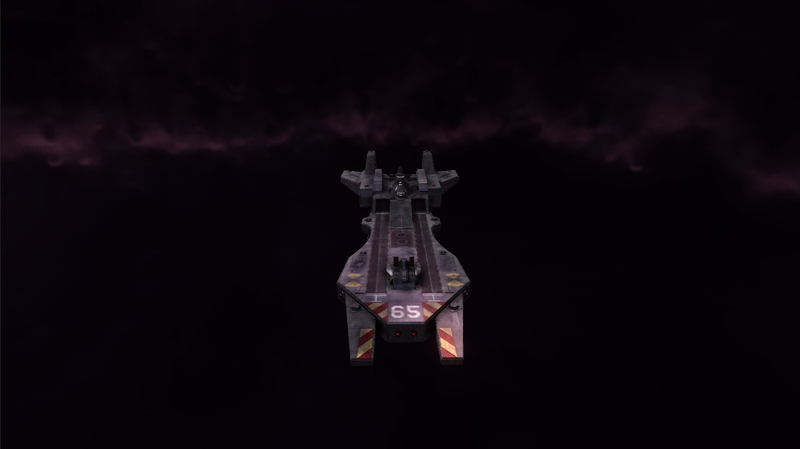 The intention of this is not to create another standalone shipviewer, but rather to create a web application that can be easily included whereever you like. 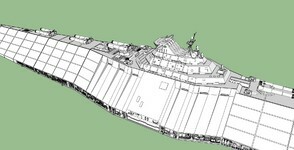 Want the viewer in the wcnews shipdatabase? Inlude it. Want to post on the forums and to make your post more clear include some shots of a ship from a specific angle? 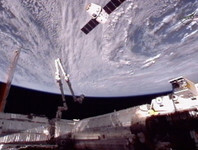 Inlude the shipviewer in your post along with coordinates for the camera and you're done. The purpose is to have some sort of interactive screenshot that can easily be shared with others. The only thing that's stopping me from finishing this up is this: Would anyone be willing to prepare the needed models for this (remember that the database can be filled step by step)? There's some in the wcnews.com download section, but not every ship is available. Also, would you guys back this up if I open up a kickstarter for this to get the needed funds for Flash support (remember that this is optional)? And most importantly: Would anyone use it at all? 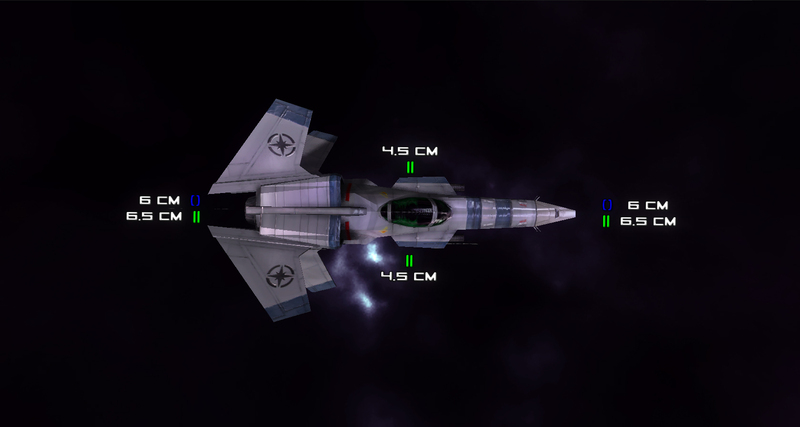 There aren't as many gaming sites name dropping Wing Commander as there were a decade ago, but they still pop up all over if you look. Here's a couple from just this week: HotHardware ran a feature on gaming clichés. The story decries the linear nature of modern games that screech to a halt if any losing conditions are met. 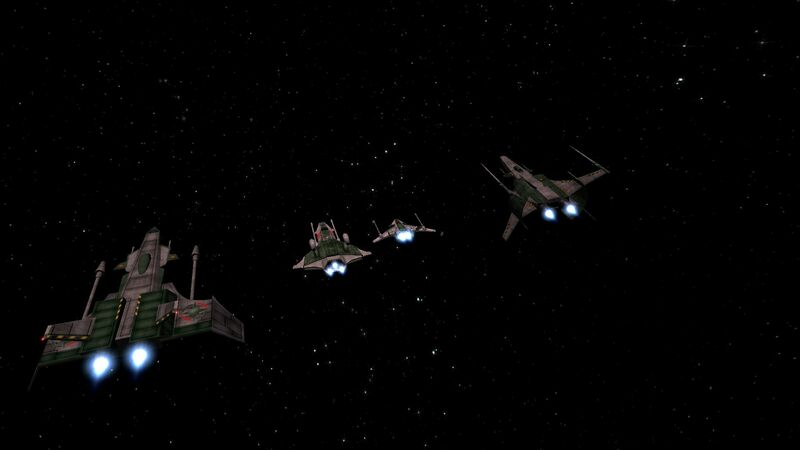 Wing Commander's branching mission trees and losing paths are held up as a high example of how games should be made. 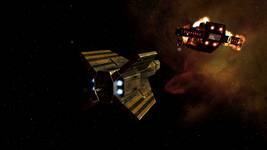 One of the reasons why the Wing Commander and, to some extent, Freespace franchises were so great is that both of them allowed you to fail. 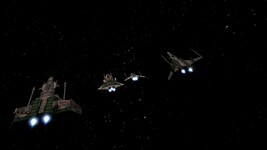 They handled the concept differently -- Wing Commander had a "Losing Tree" of missions that was separate and distinct from the main game, while Freespace handed you difficult mission objectives that you could fail without losing the game. Both approaches created uncertainty and left the player wondering if better performance in-mission would change elements of future missions. 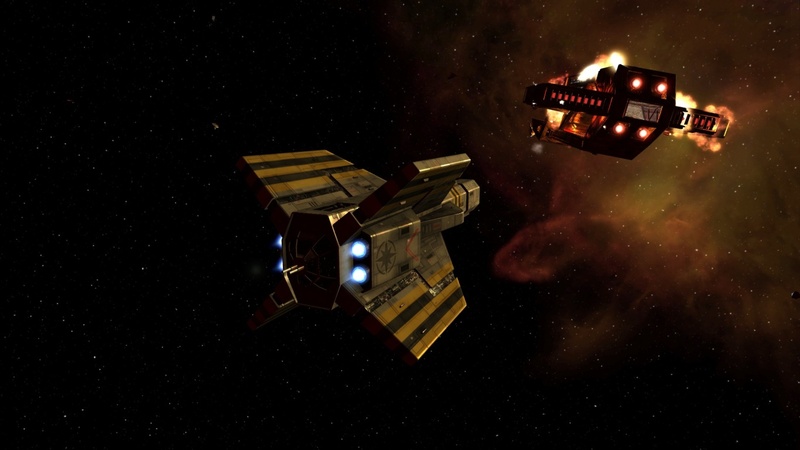 GameSpy also ran a preview of the upcoming space sim Miner Wars. They say the game has a distinctly Privateer feel to it. 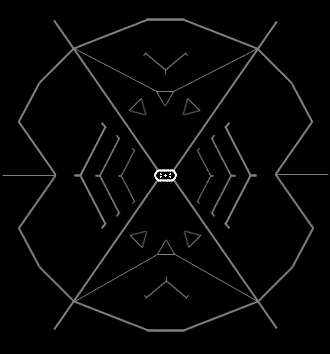 A demo is available to try for yourself! Rosa and I had a chance to talk for a bit at this past GDC, but it wasn't until a few days ago that I had some time to play the Miner Wars 2081 demo (you can download it here) to see how this space sim is coming along. 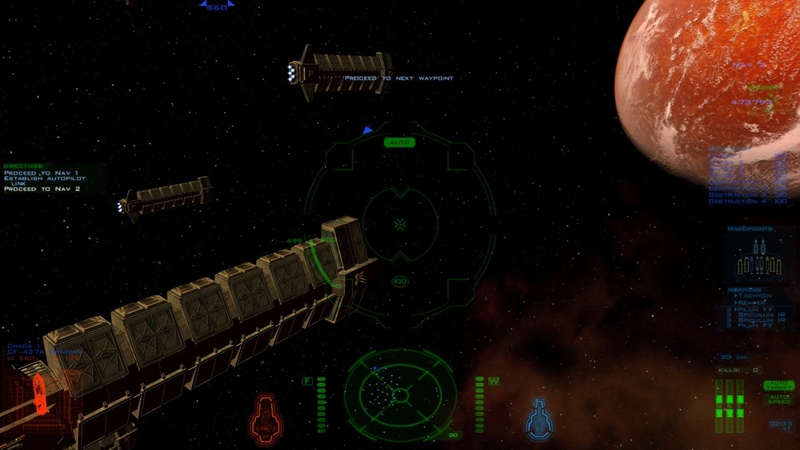 In short, it feels like Descent meets Wing Commander: Privateer, which if implemented right, could be awesome. 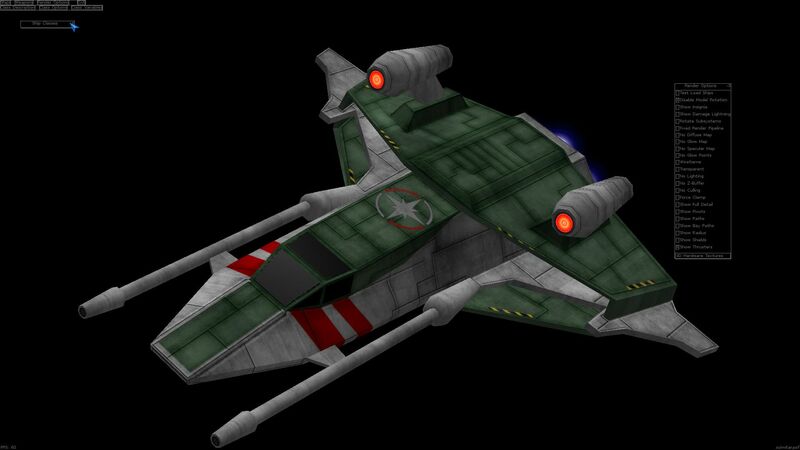 Yet another Wing Commander mention this week came from an interview with Warren Spector. Metro.co.uk caught up with the famous developer to discuss Epic Mickey 2. 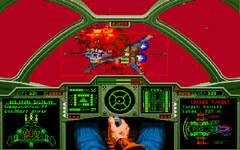 When talking about his early career, Spector confirms that some of his very first games were Origin titles such as Wing Commander, Space Rogue and Bad Blood. Check out the full interview here. GC: Well, I think we're all glad you made that choice. 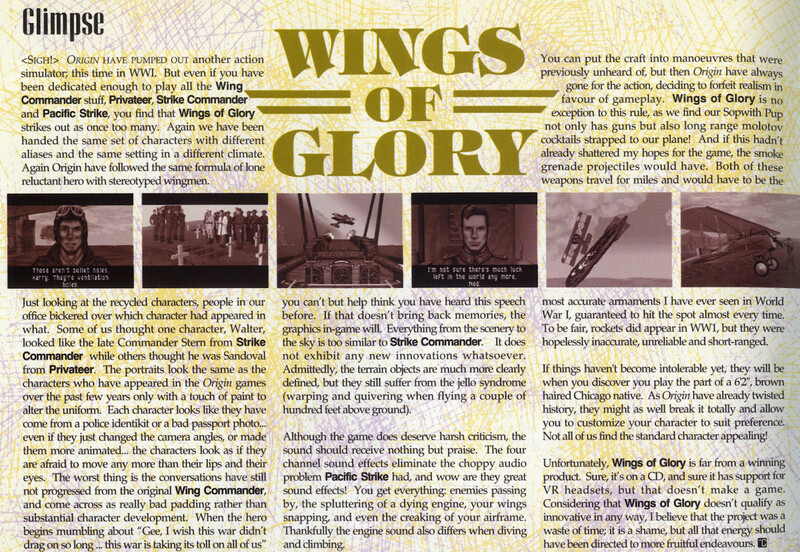 Now, I'm afraid I'm relying on Wikipedia for this question but it seems like your first game, or at least first retail game, was one of the Wing Commanders, is that right? WS: Ah, no. [laughs] I actually did some uncredited testing on the very first three gold box games from SSI, Pools Of Radiance and the others. 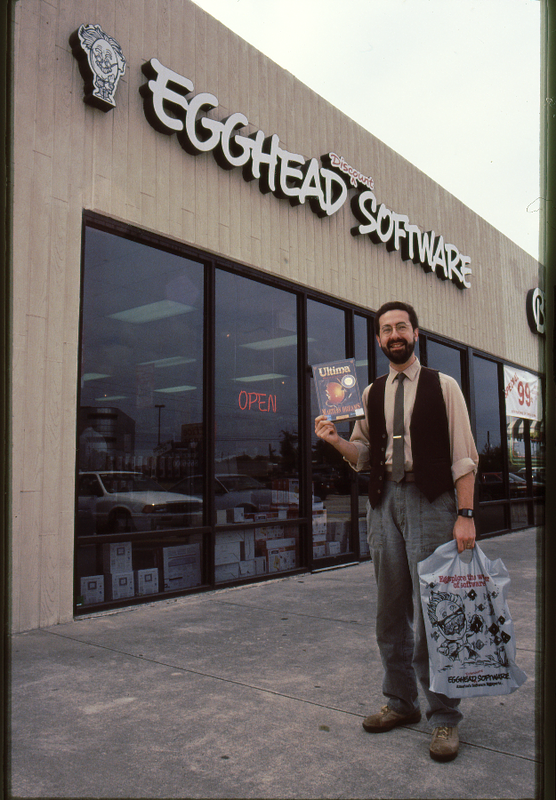 The first thing I actually did in the electronic games world is I went to work for Origin and I worked on quests and adventures on Ultima VI, I did all the story flow-charting and dialogue writing for a game called Space Rogue. 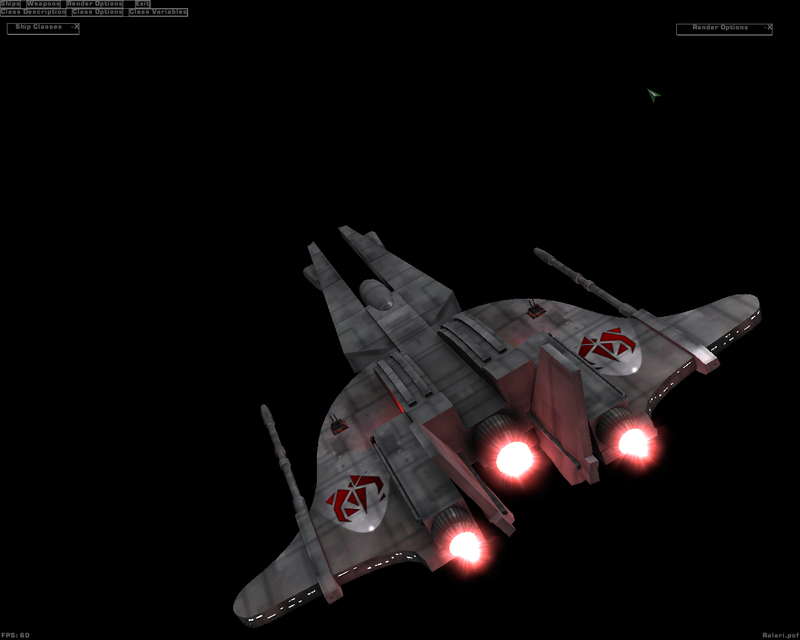 And then I did some work on a game called Knights Of Legend and then after that was Wing Commander. I worked on Wing Commander and a game called Bad Blood about the same time. 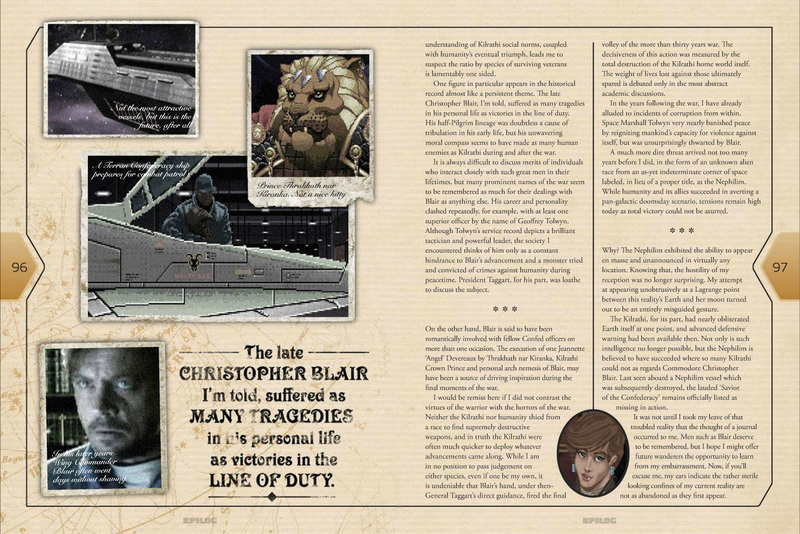 PlaySF magazine has put together a wacky article on Wing Commander and Christopher Blair. 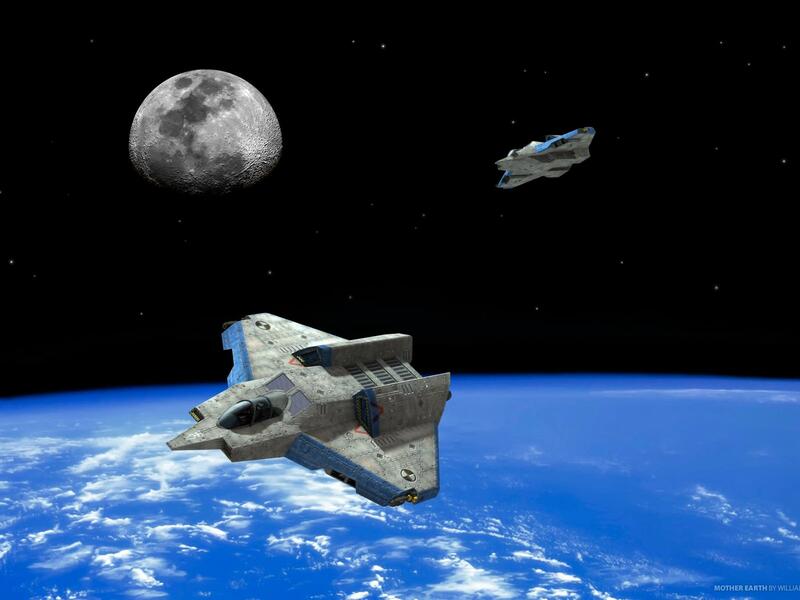 From the perspective of an inter-dimensional time traveler, the author jumps back in time to the year AD 2700 within the Wing Commander universe. 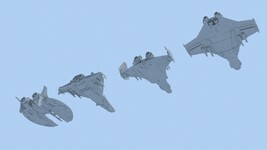 Once there, he encounters James Taggart and the TCS Midway. 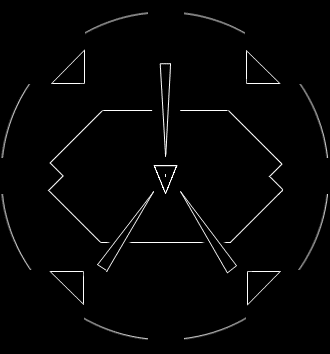 The traveler learns first hand of the "century of turmoil" from the Pilgrims to the Kilrathi to the Nephilim before departing back to his own time. 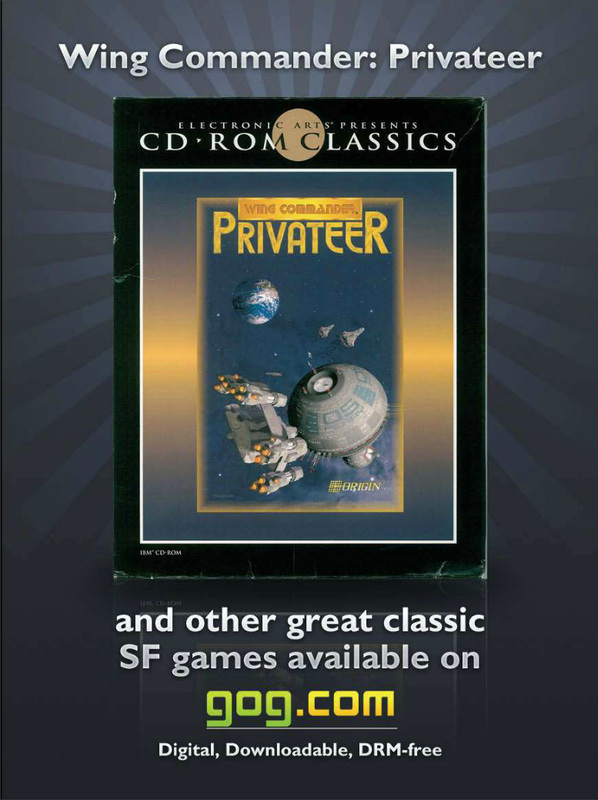 The GOG Privateer advertisement on the following page is a nice touch! A subheading also teases that this is "encounter one." It's a weird premise, for sure, but you can check it out for yourself here. 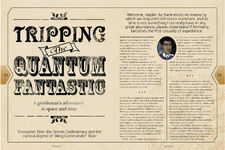 Copies of the full magazine are available online for about $2.50 to $3. Far from slicing through the tension as her antics often do, my pet cat nearly got the both of us killed yowling into my small craft's mouthpiece. It took many assurances before my captors accepted that I did not belong to the apparently feline 'Kilrathi' race, though the benignity of my intentions remained in doubt. 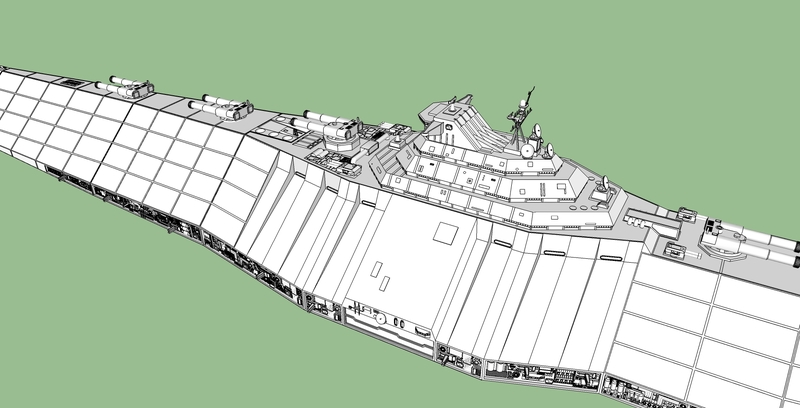 In recent days WCPedia contributor Iceblade has worked on finalizing a layout for the ship articles on the project. 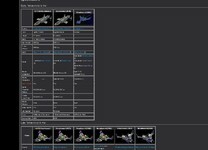 After experimenting with the Broadsword article, and creating a great layout in the process, he's started to implement that layout across the Confederation fighters category. 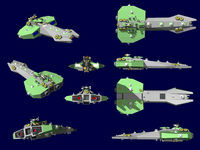 Currently, the F-36 Hornet article is the most complete. You'll find not only ship statistics but also a wealth of information including game conversation and novel references, mission appearances, and a healthy image gallery. An updated history text and a few other additions and tweaks are all that is left before we call the article complete. Wingnuts can now get a sense of the level of information we are hoping to provide in each article. It's going to be amazing! 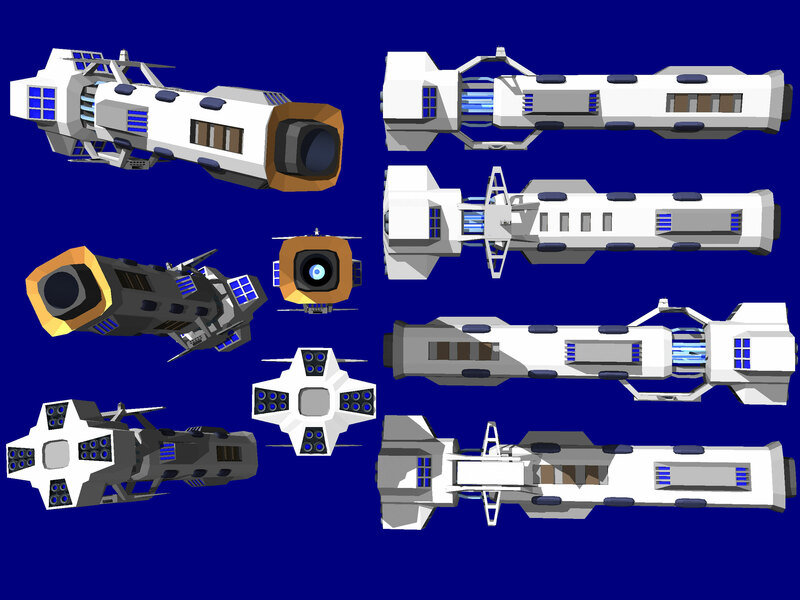 Be sure to watch the ship categories in the near future. Since August 2007 and the launching of WCPedia, Wingnuts have added 2,866 content articles, uploaded 4,196 files, made 30,458 edits, and viewed the pages of the project just under 3.5 million times. Quite a feat for the community! The project continues to steadily grow thanks to the efforts of the contributors. And the WCPedia team is always looking for more contributors! You don't need to be a WC expert to help out. 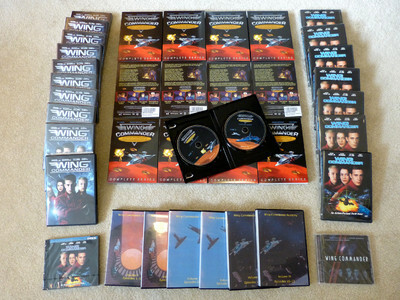 Every little bit helps toward the creation of the ultimate Wing Commander resource. Be sure to check out the WCPedia thread in the Chat Zone or drop by #wingnut on the CIC's IRC server if you are looking for ways to help out. 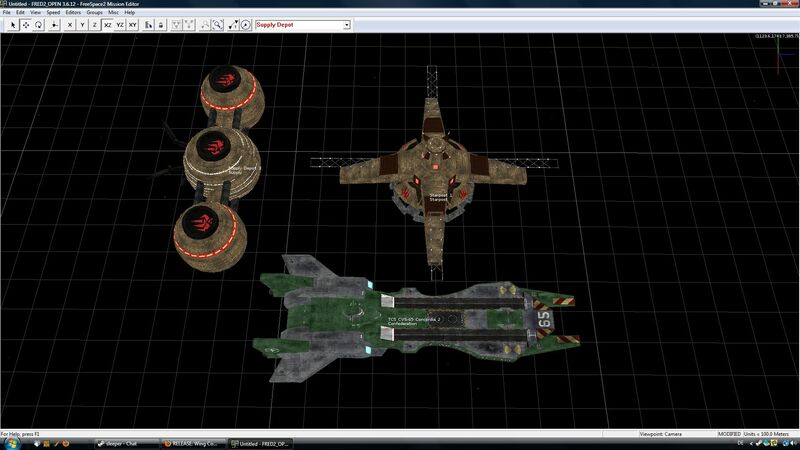 Aginor is working on a new Wing Commander mod, and this game will be played from the Kilrathi perspective. 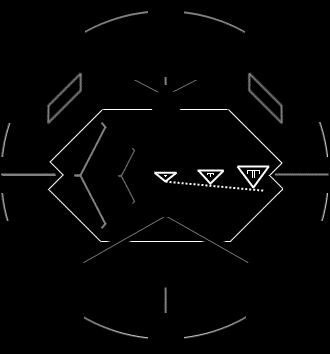 Although there won't be full dashboard cockpit graphics, each ship will have a unique heads up display. 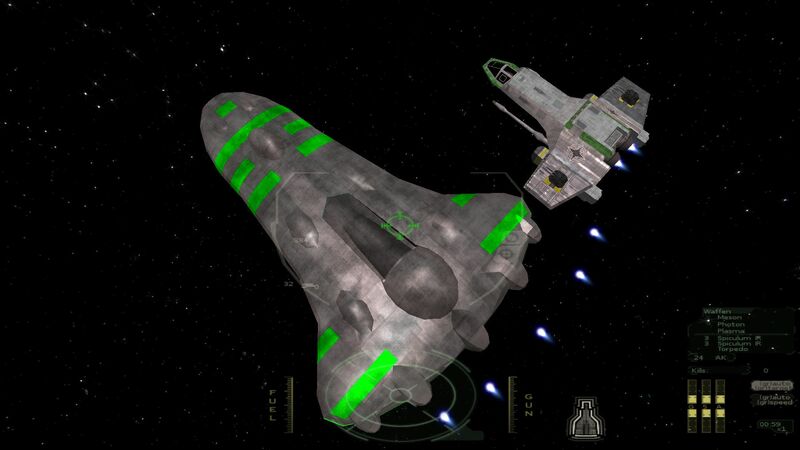 Most games use the same targeting crosshairs and reticle for all ships, but here are some examples of how Wing Commander 4 differentiated its craft. And here are some of Aginor's new designs inspired by this diversity. 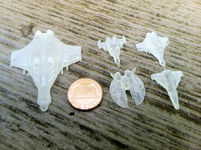 They are more angular overall, and check out that asymmetrical one! It will belong to the Sorthak. 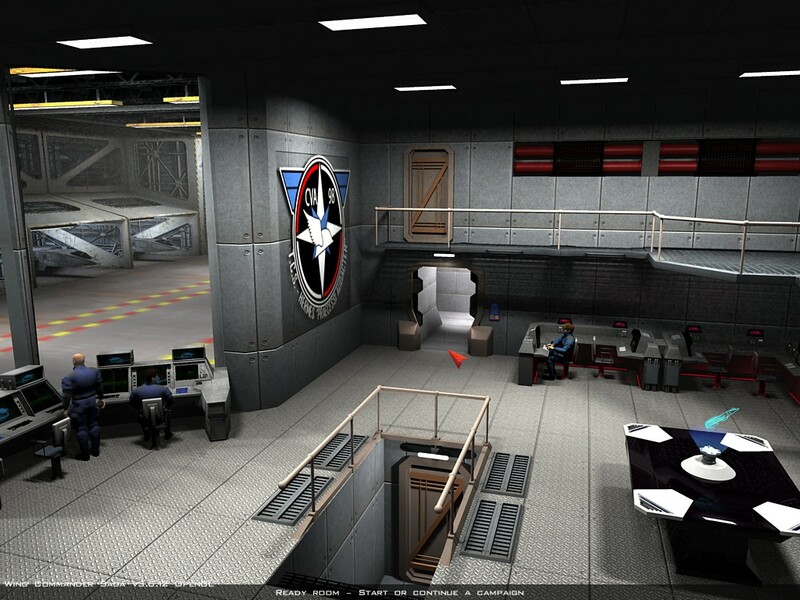 You can find more concept art and help provide input for further designs at the CIC Forums. Are you linked up to get the latest Wing Commander news right as it happens? 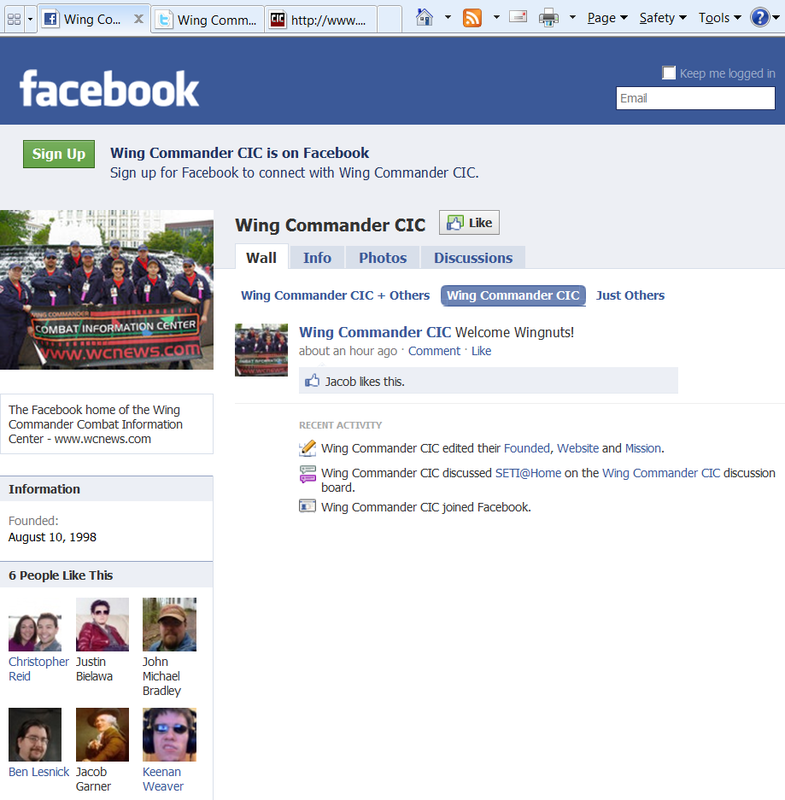 In addition to the main website and CIC Forums, dedicated Wingnuts can follow the CIC on various social media platforms such as Facebook, Twitter and with RSS to stay in the loop as news breaks. In addition to hot stories, followers also see occasional special features and behind-the-scenes updates. Today is 2nd anniversary of our Facebook page's creation - check out how much the layout has changed in just that short amount of time. And thanks to all of our followers! Here's some new shots from the Enigma 2666 mod that show off a fighter launch, autopilot fly-by and ship size comparison. Sharp players will quickly recognize the familiar Broadsword/Ferret pairing from the Fralthra Strike at the beginning of WC2 - a very fun mission, if you can keep the Broadswords alive!